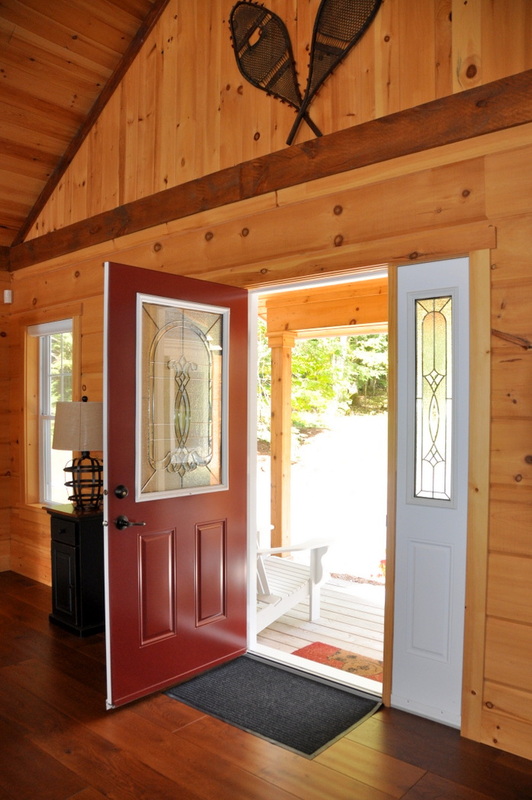 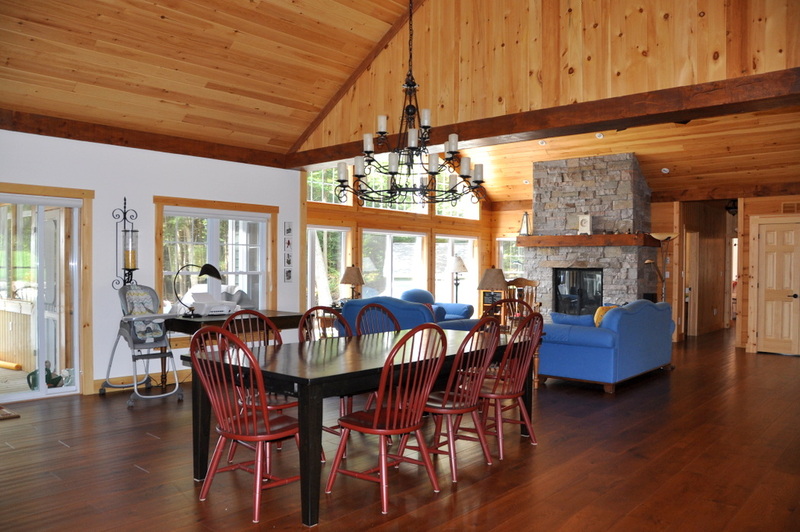 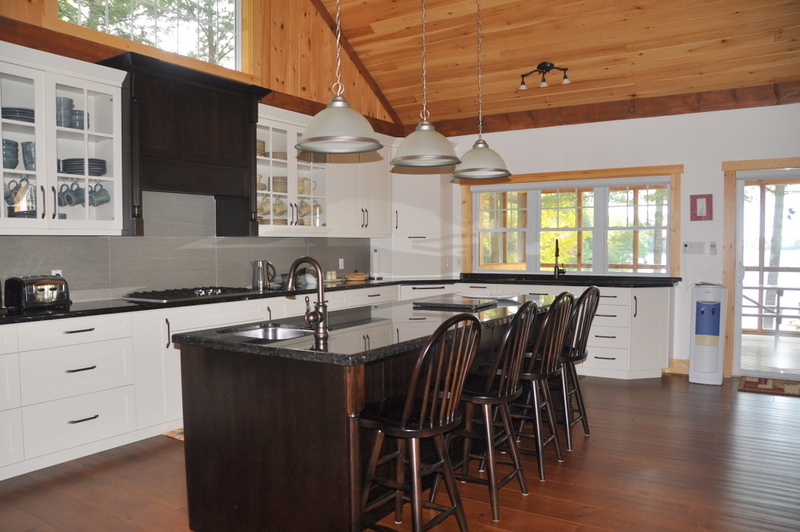 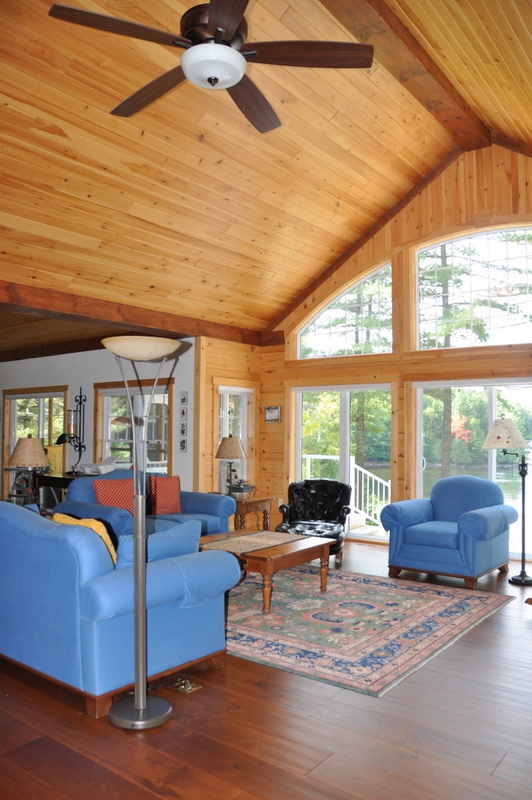 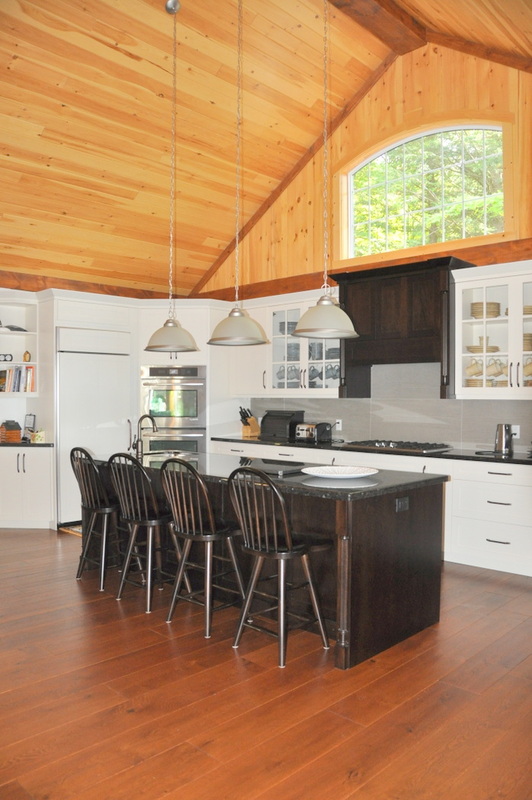 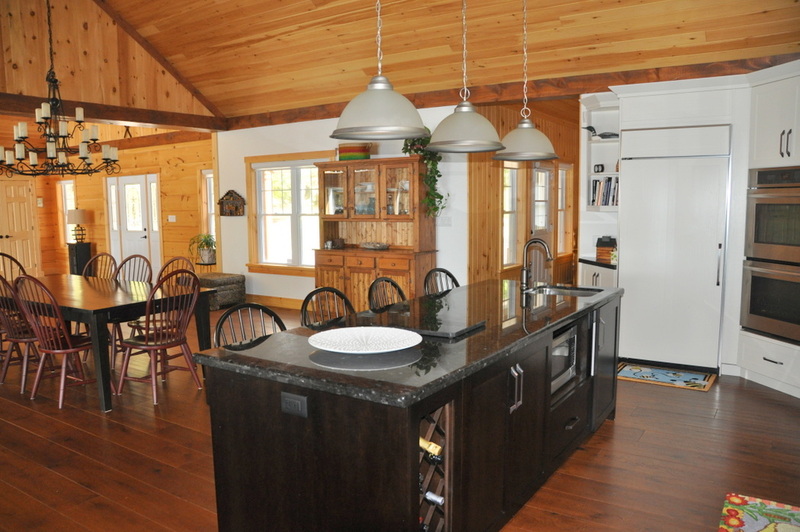 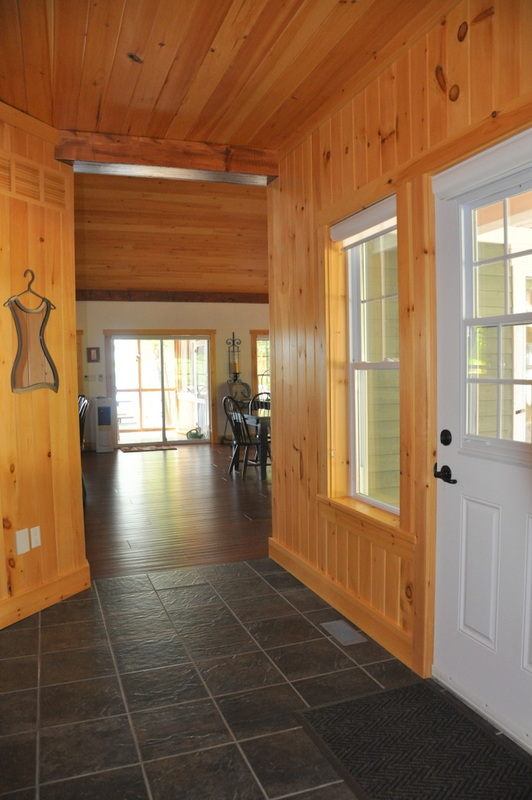 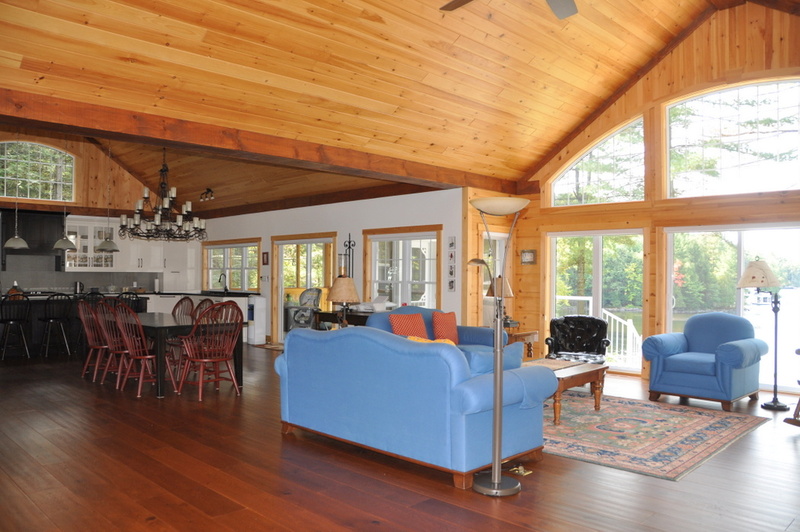 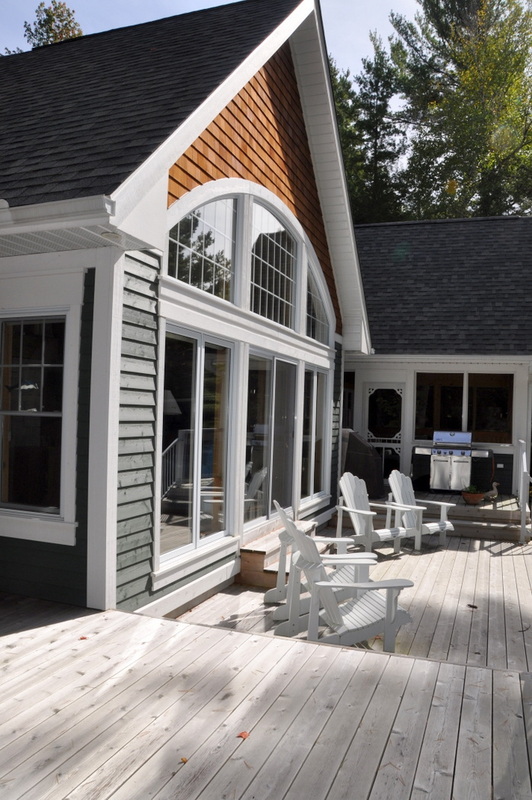 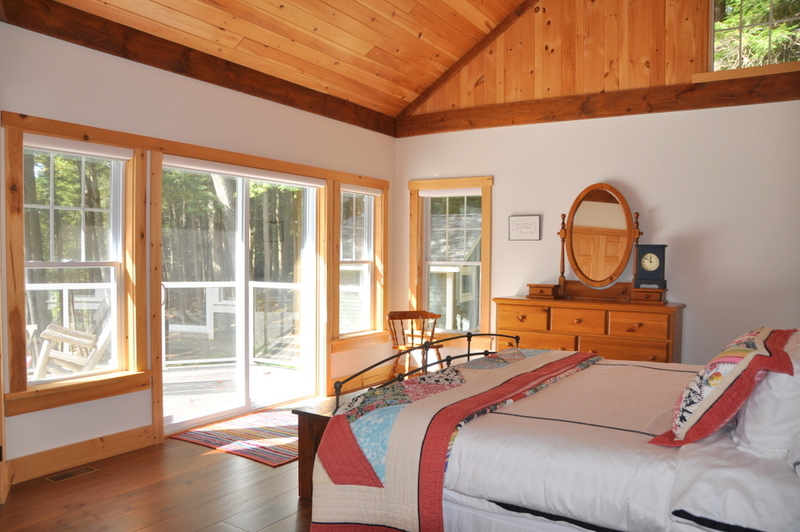 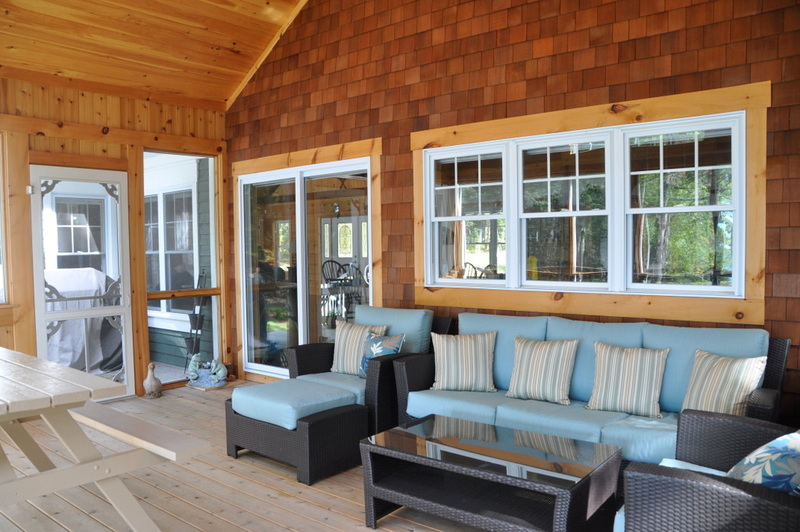 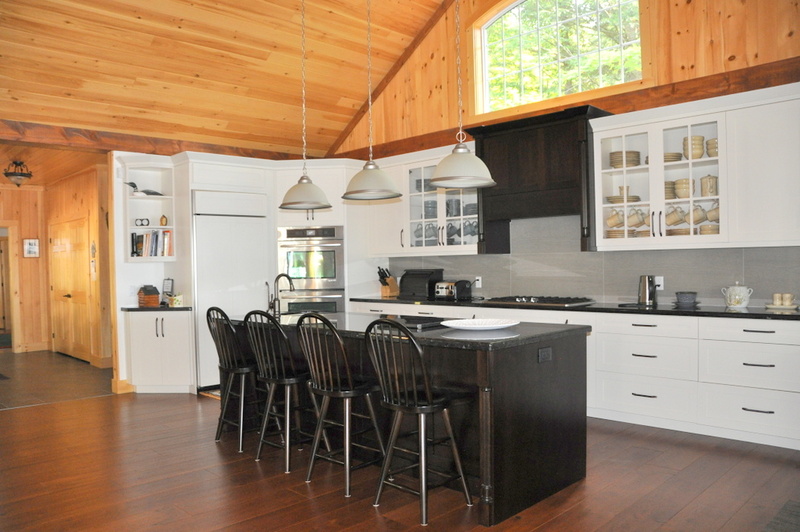 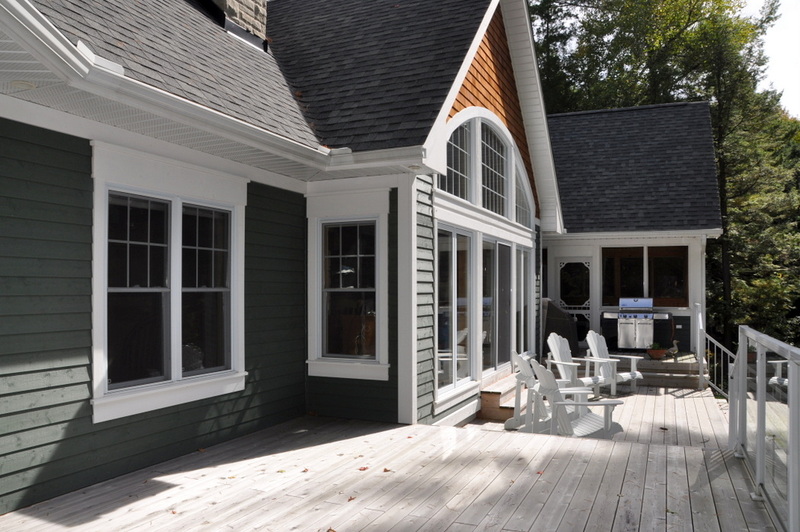 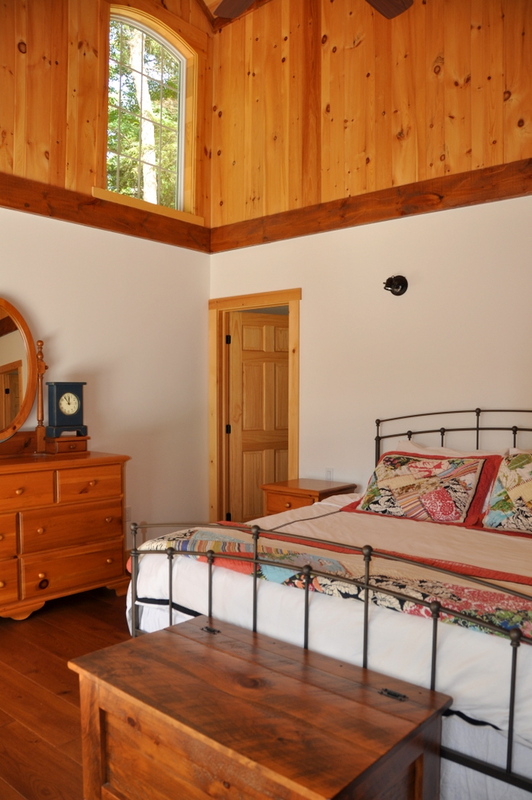 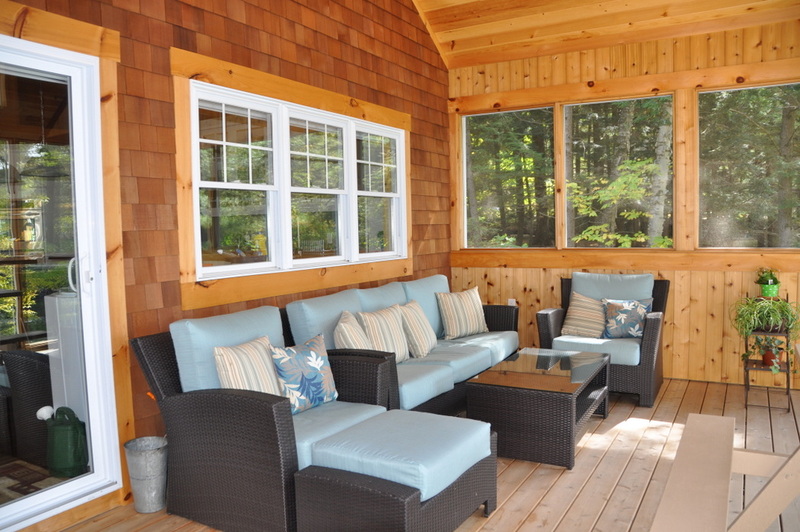 Welcome to the epitome of cottage luxury defined in the heart of Muskoka on ever popular Muskoka Lake. 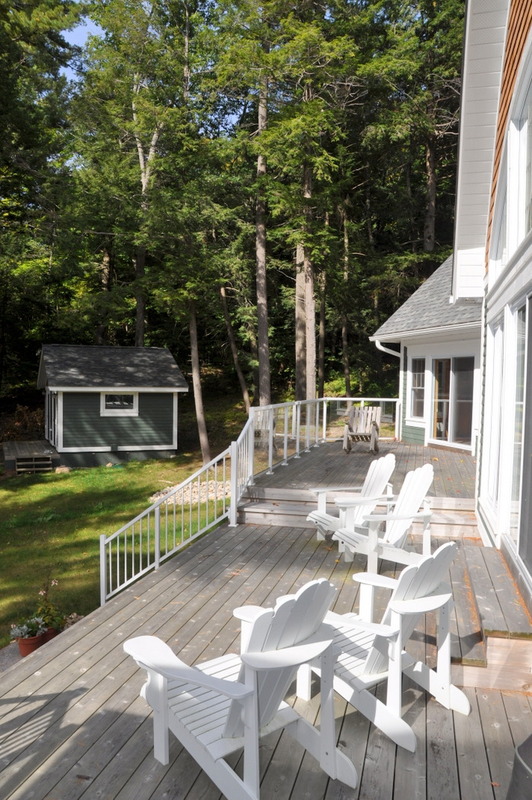 On a very picturesque setting, tucked into and nestled amongst pine trees, only 2 cottages share this rare and quiet shallow sandy cove. 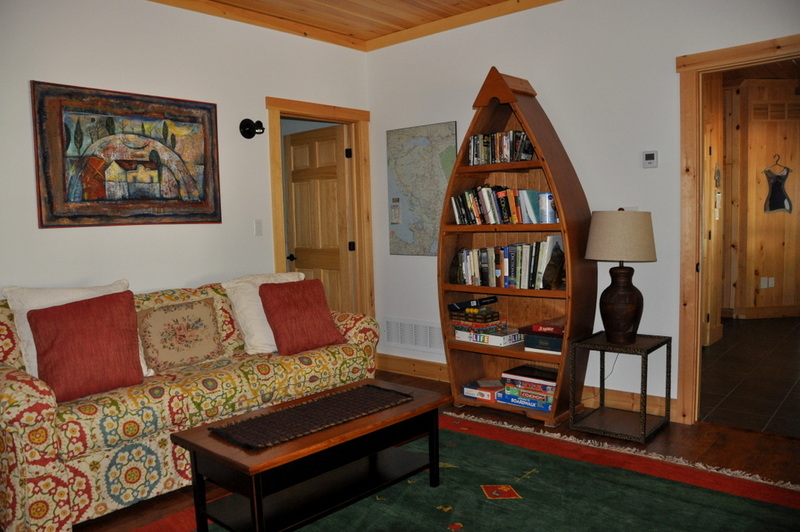 A true sense of tranquility presides here with minimal boat traffic and a breathe-taking view out to the bay and lake. 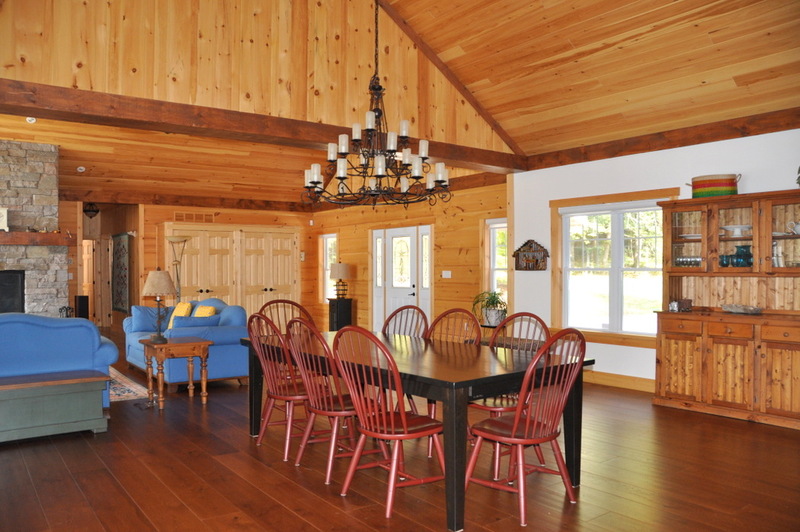 This stunning 3,000 sq. 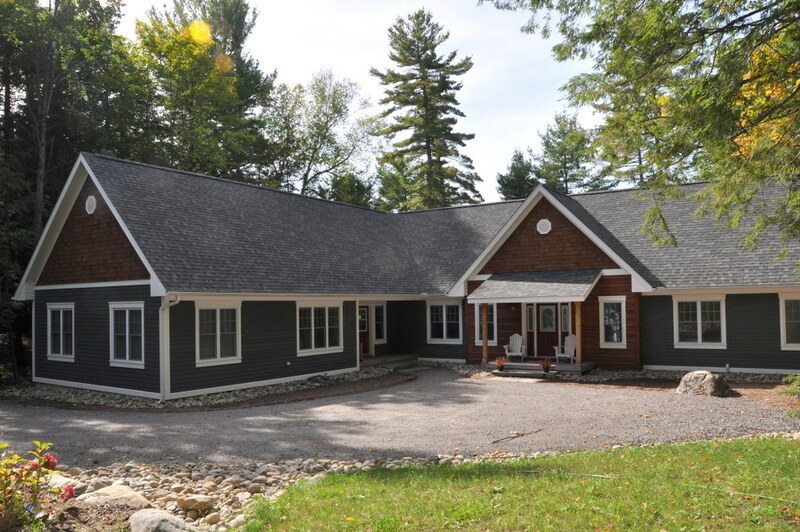 ft. one-of-a-kind custom built 5-bedroom cottage boasts wonderful modern architectural features while maintaining a traditional cottage classic design. 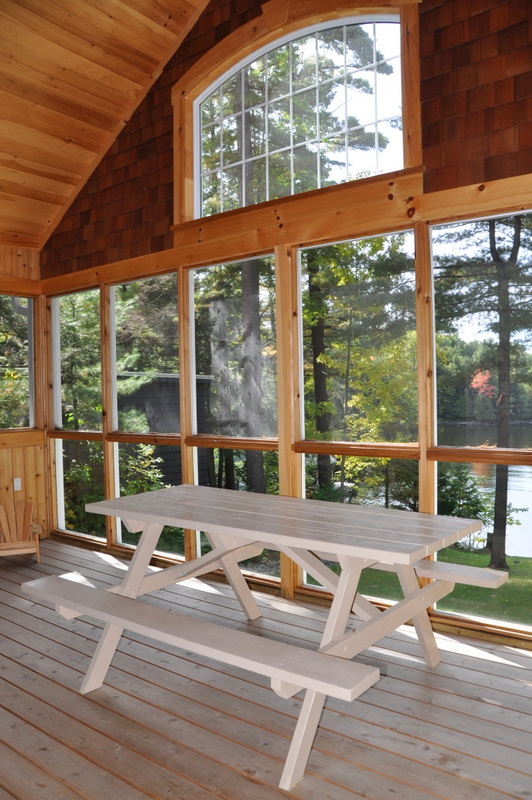 On entering, you are greeted with spectacular lake views and ambient light through a wall of floor to ceiling windows. 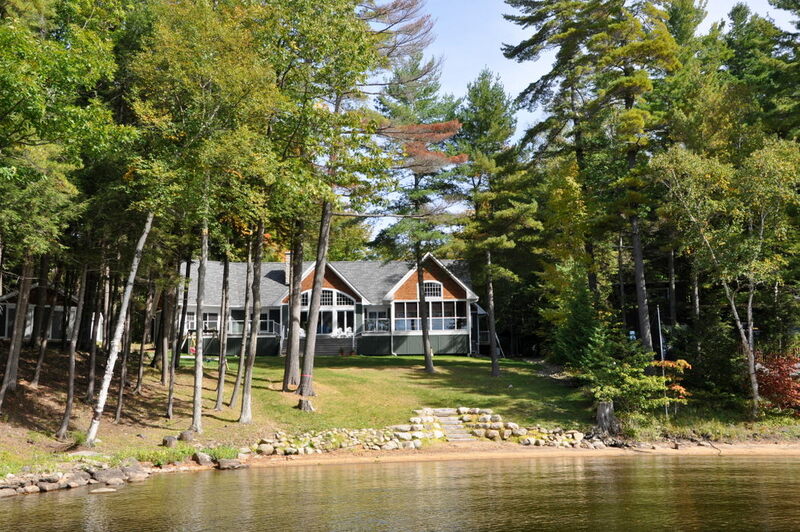 The abundantly spacious open concept living/dining/kitchen area all face out to the lake with beautiful pine cathedral ceilings and gorgeous wood floors throughout. 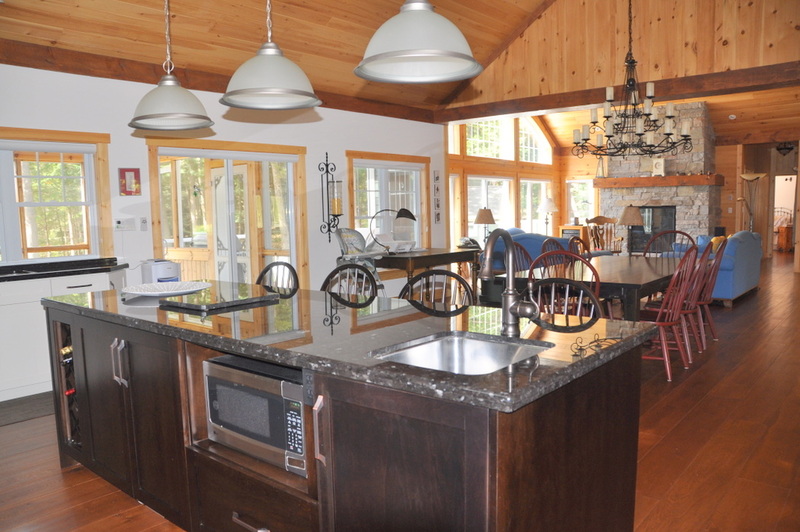 Tastefully designed with great attention to detail, the combination of modern stainless steel kitchen appliances, cottage comfortable furnishings and warm wood accents makes this living space perfect for all your family gatherings. 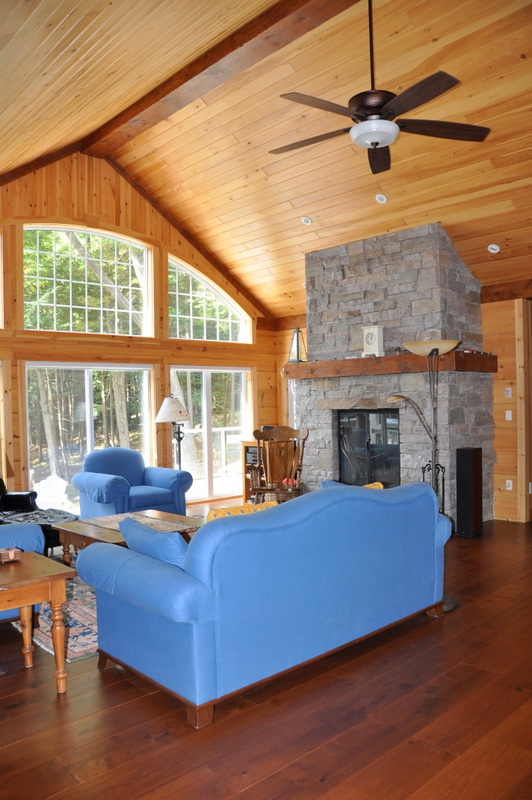 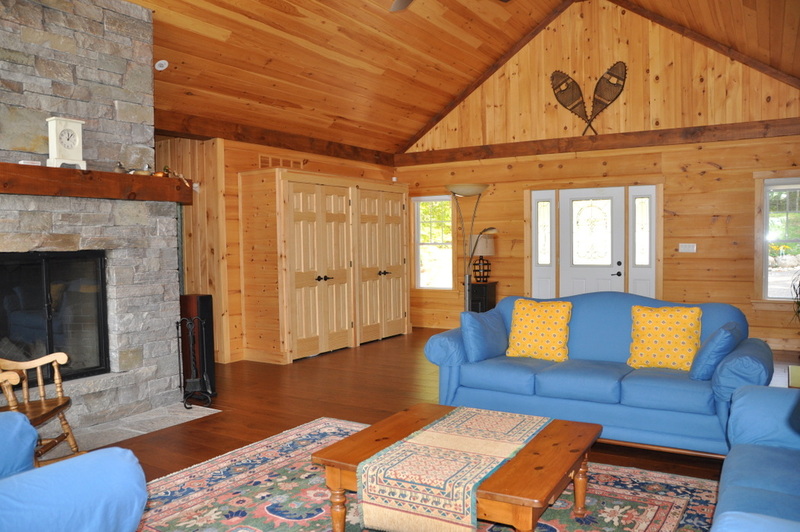 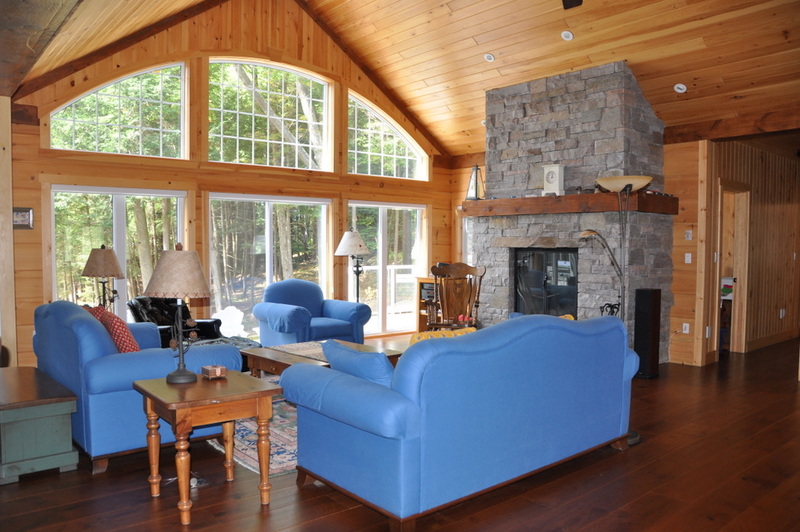 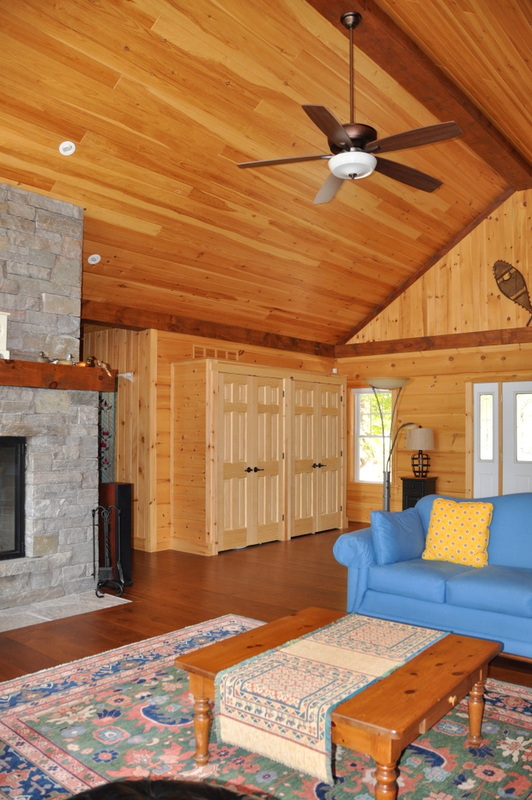 The imposing stone wood-burning fireplace beckons to be enjoyed with an after dinner beverage on cool summer evenings, while the screened-in Muskoka room will become a favourite spot for early morning coffee or just relaxing while escaping a hot humid afternoon. 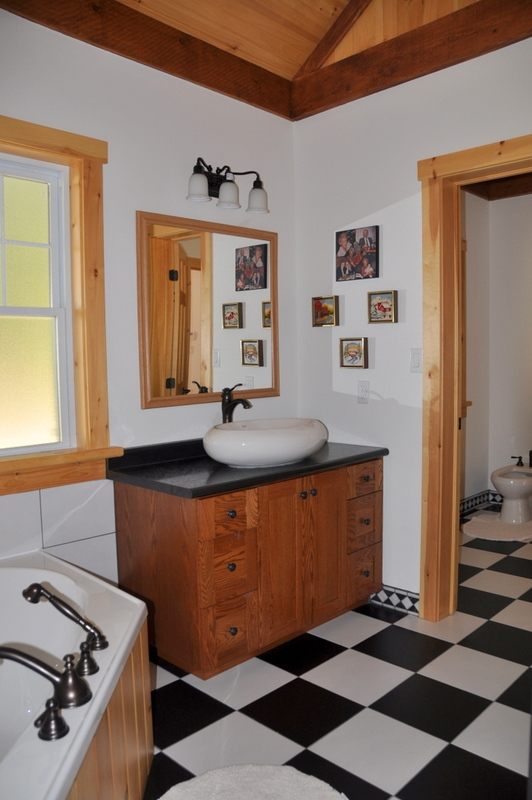 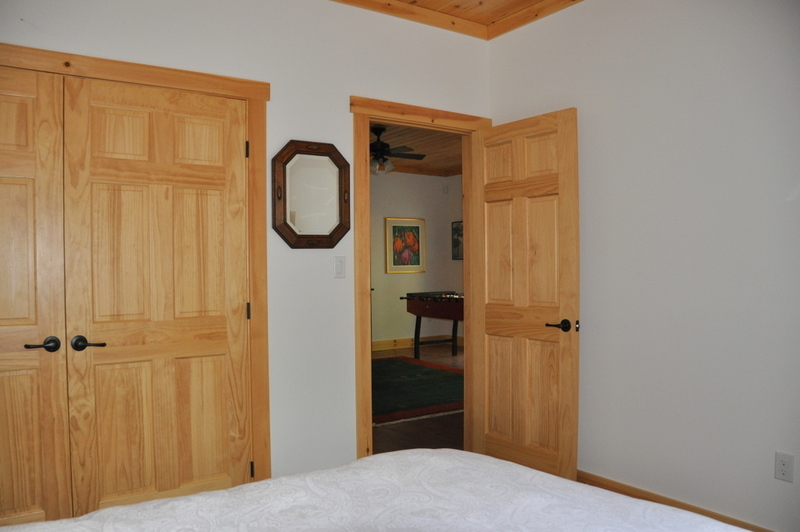 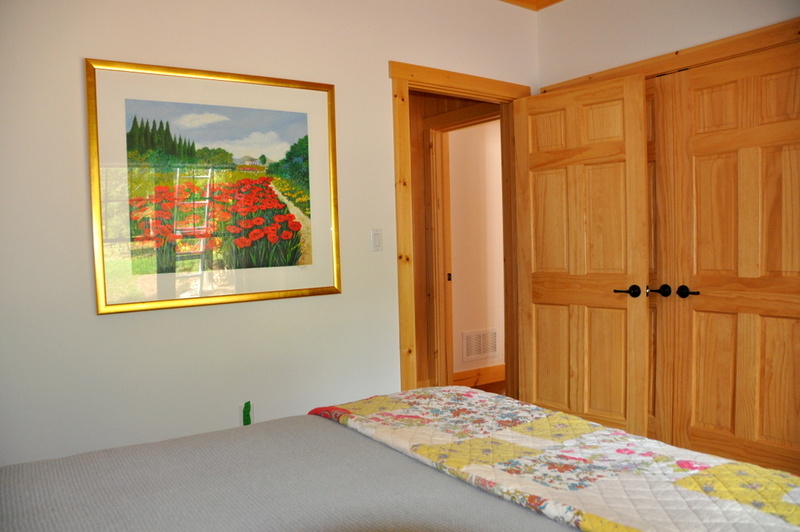 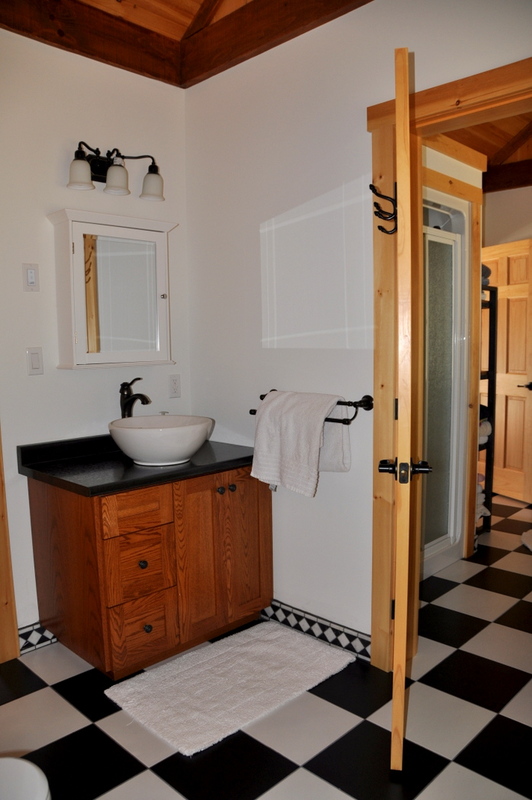 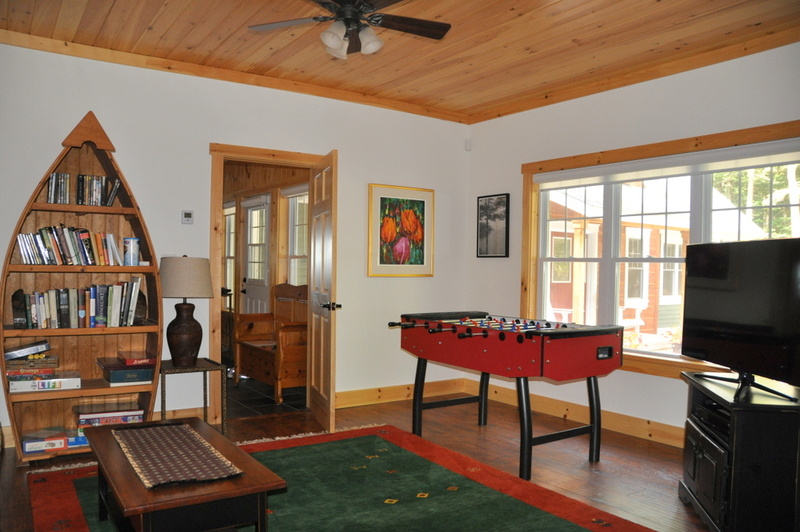 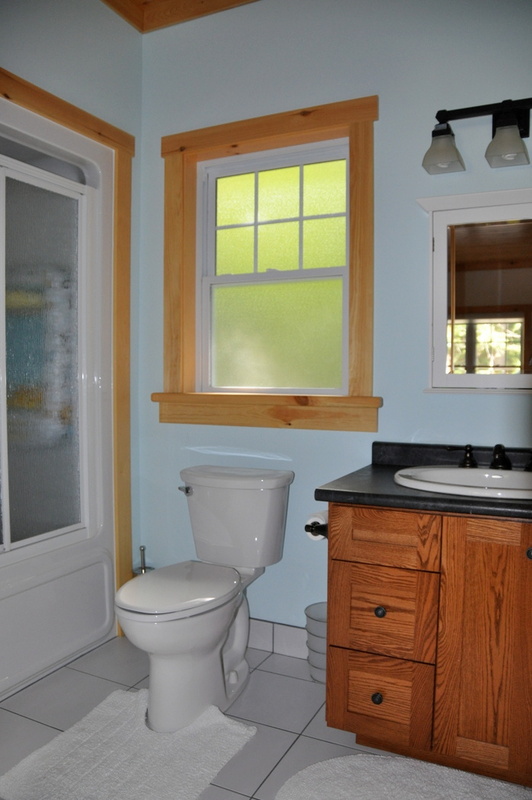 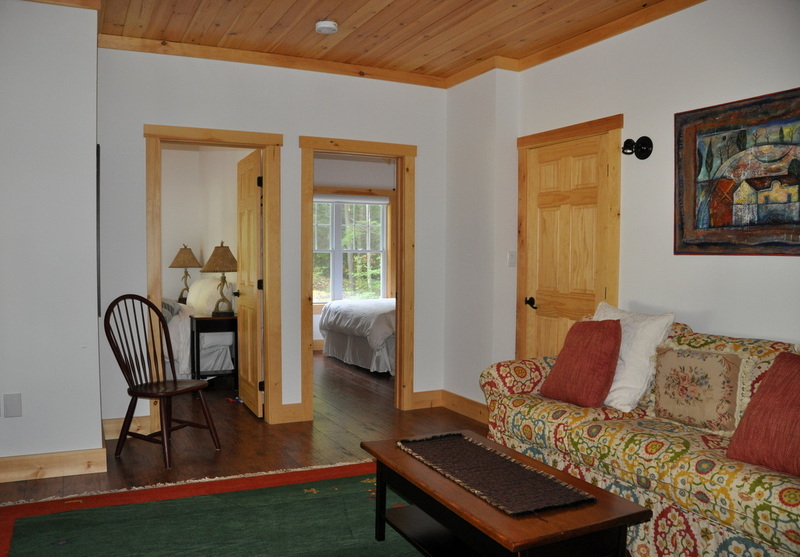 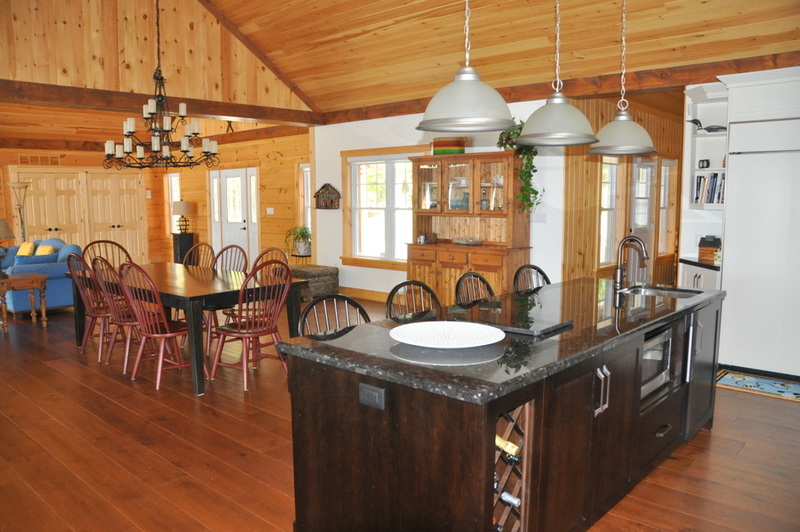 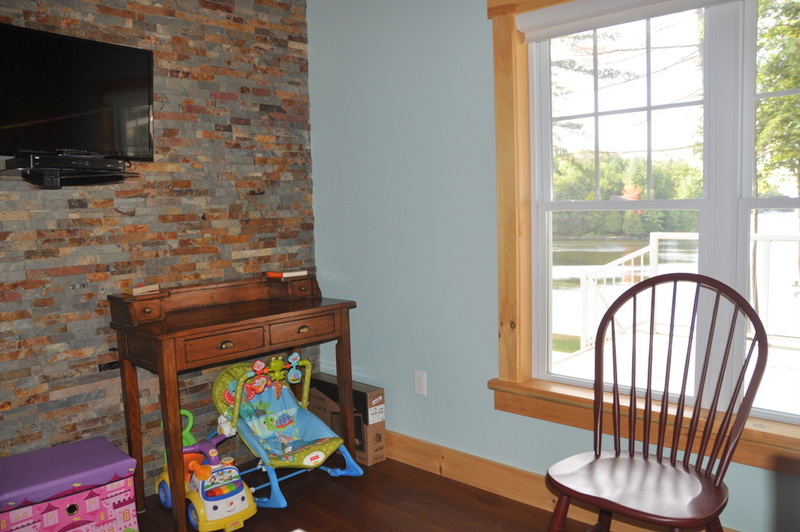 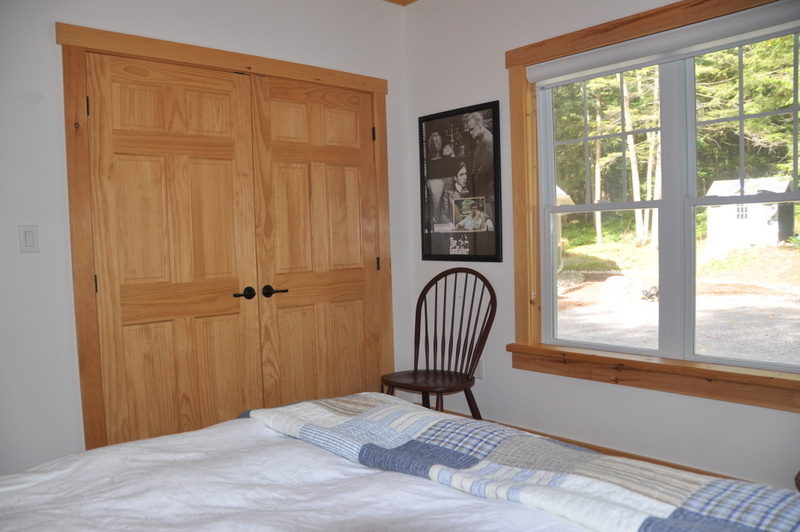 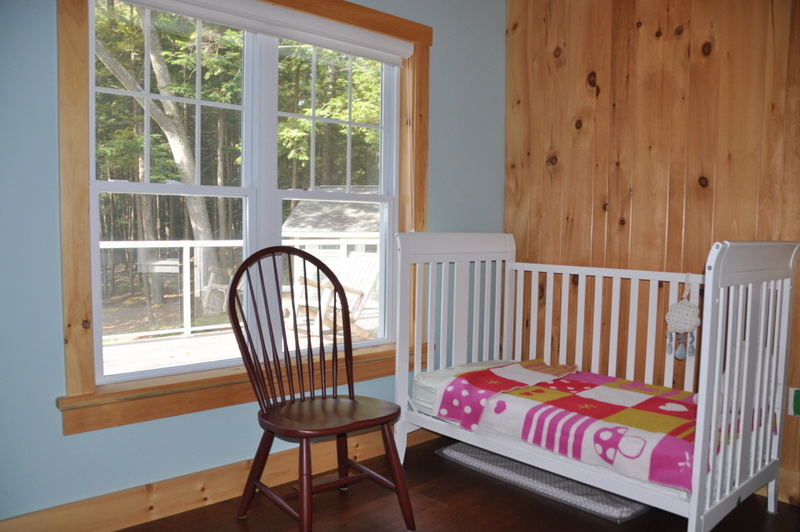 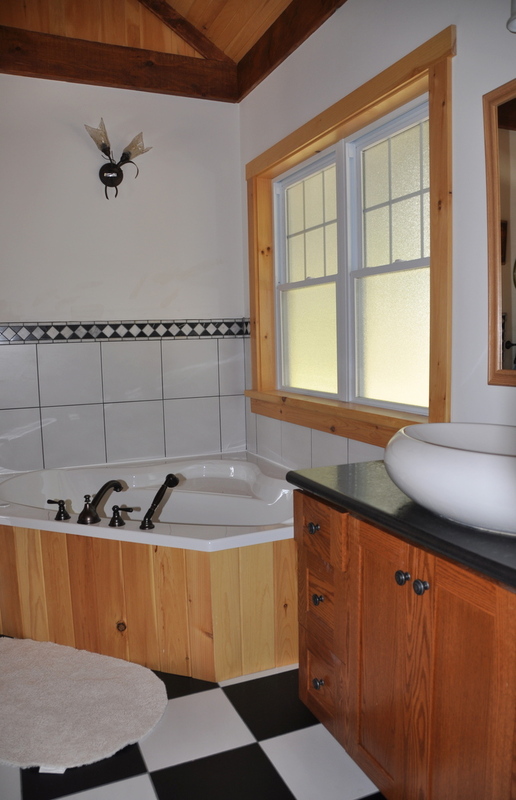 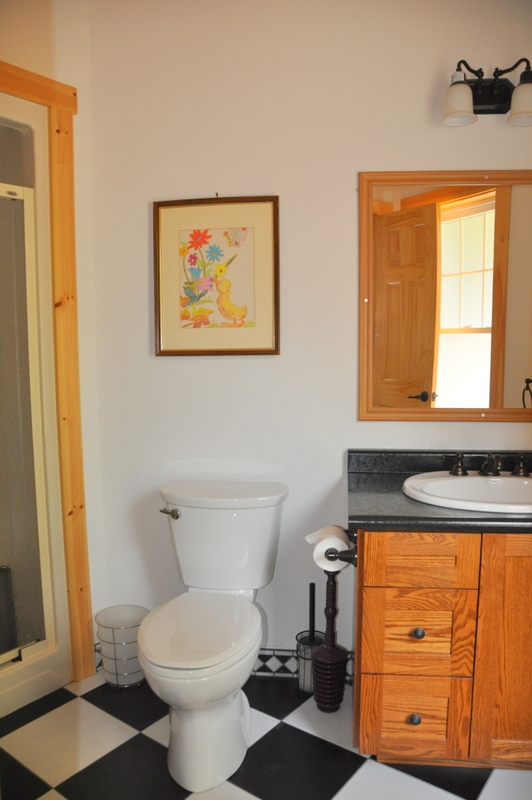 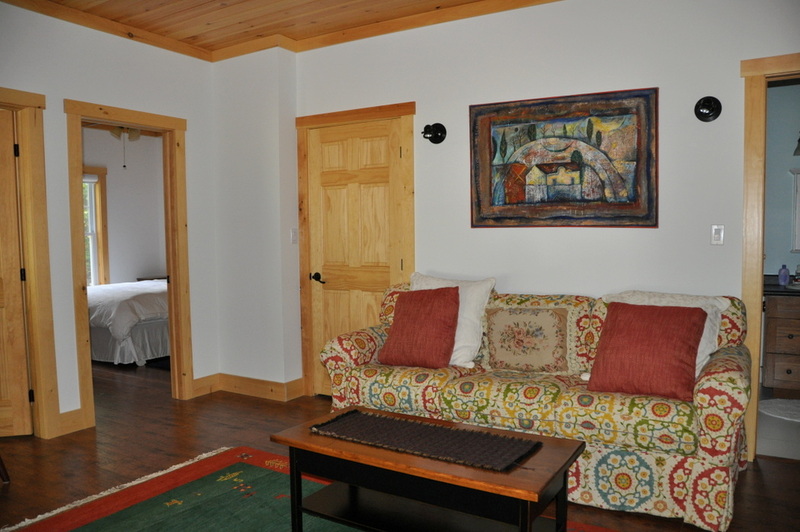 The cottage is on one sprawling level with a superb layout catering to one or two small families. 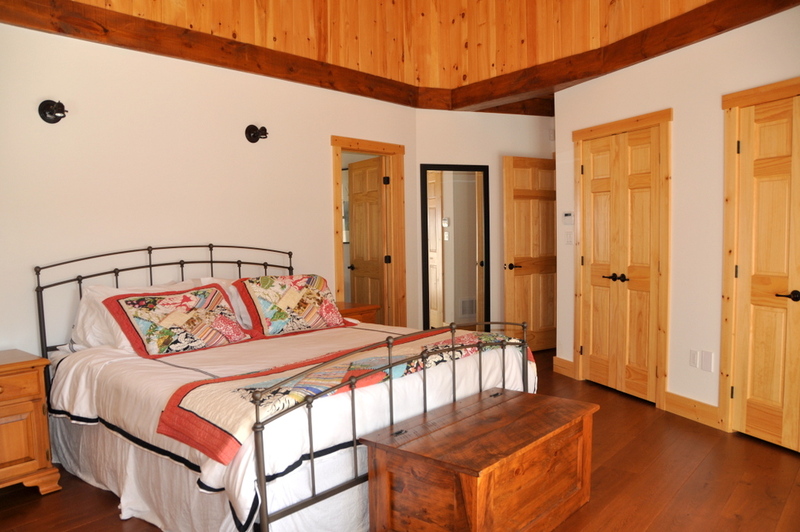 There are two separate bedroom wings linked on each side to the main living area. 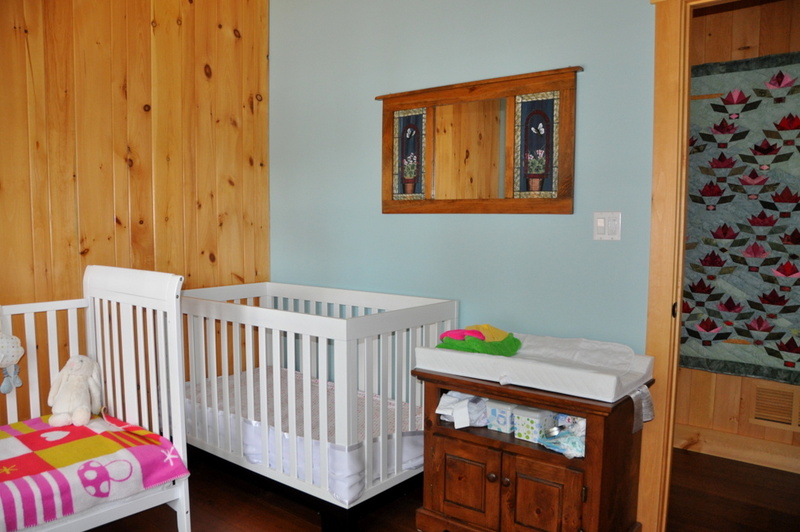 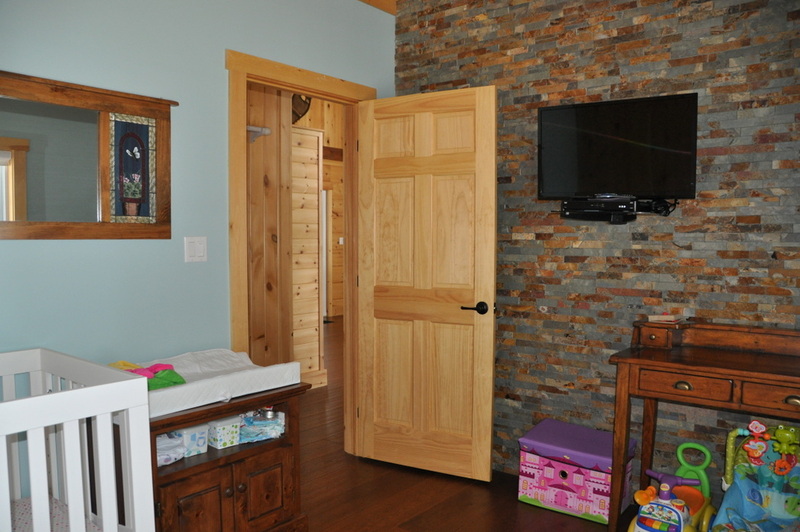 One of the wings has a room for infants/young children adjacent to one of the 2 bedrooms while the other wing has an entertainment/game room between its 2 bedrooms. 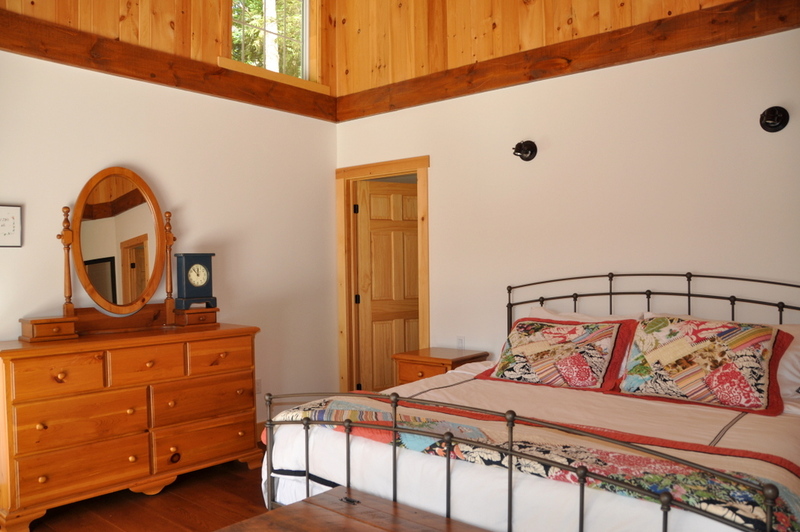 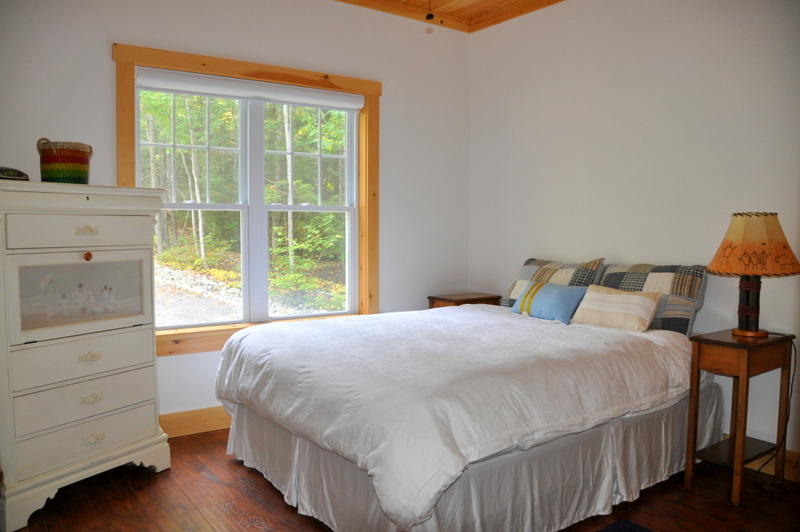 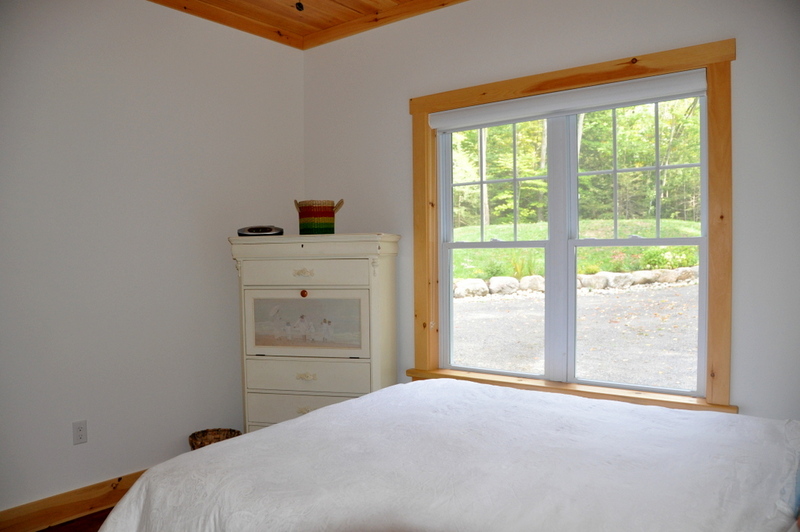 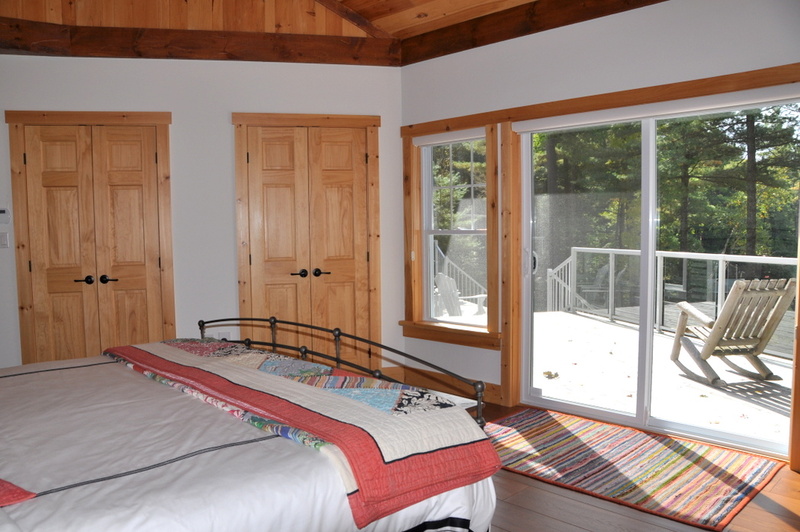 The master bedroom, with lakeside views, is an oasis onto itself. 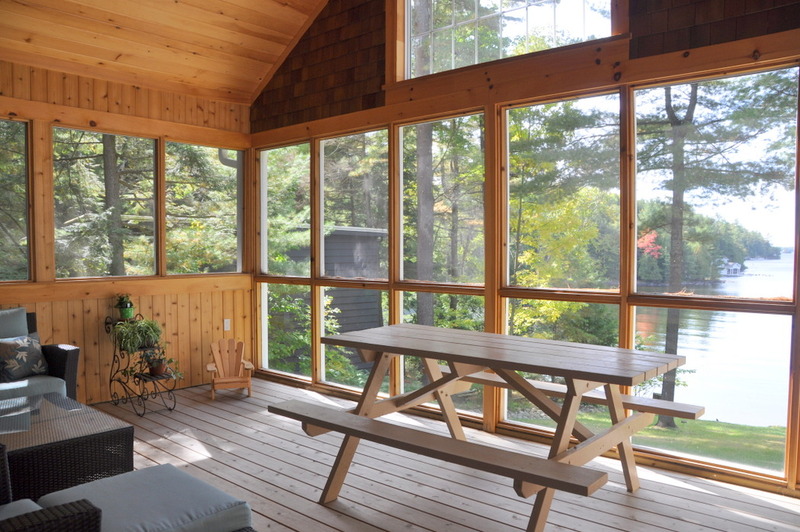 With a soaring cathedral ceiling, 6-piece ensuite bathroom and a private walk-out to the deck, welcoming lazy summer mornings tucked into this haven will be the perfect way to start each and every day. 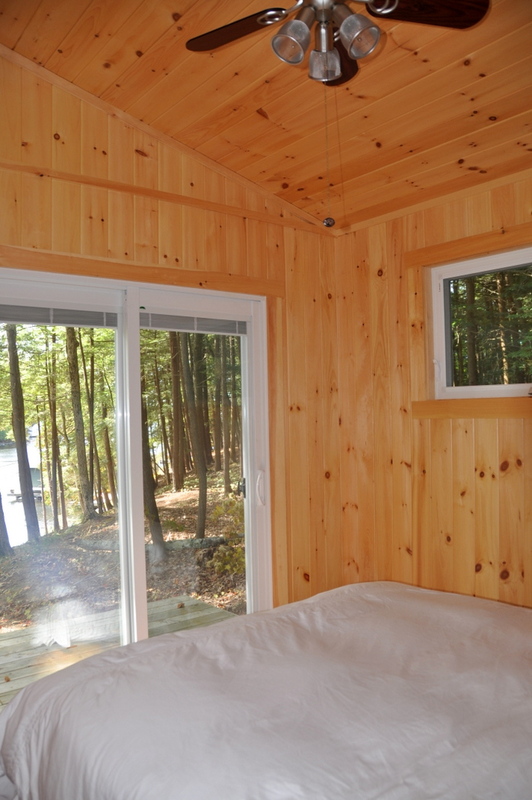 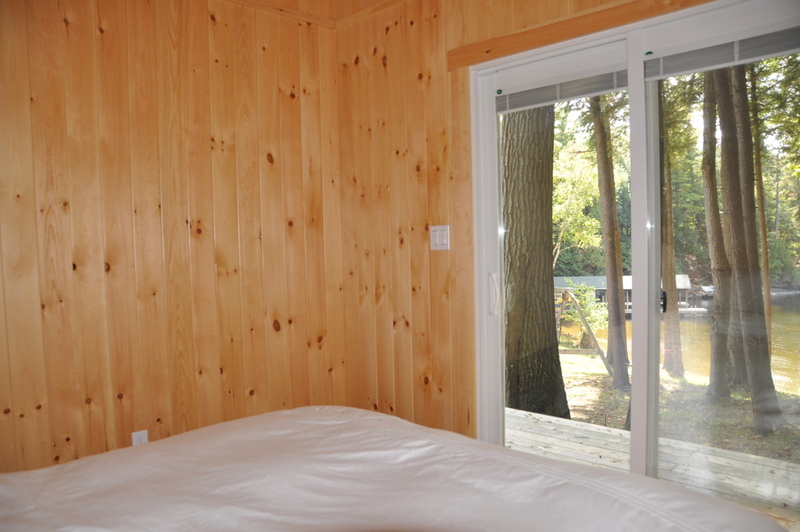 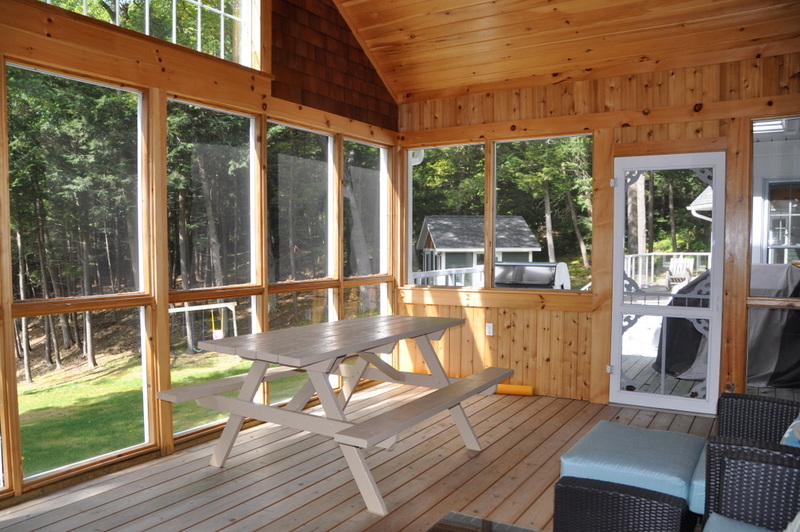 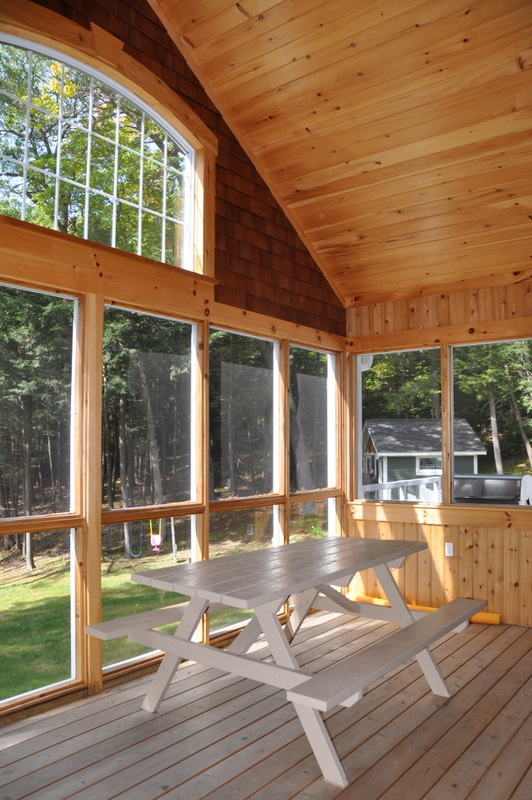 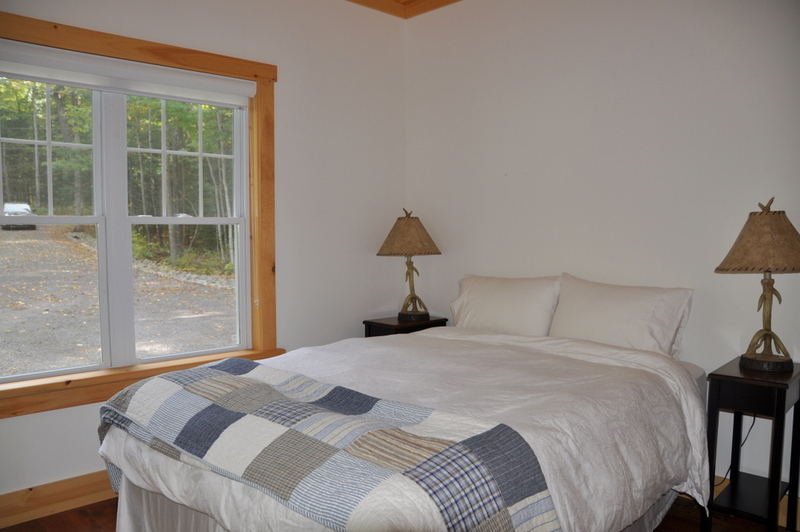 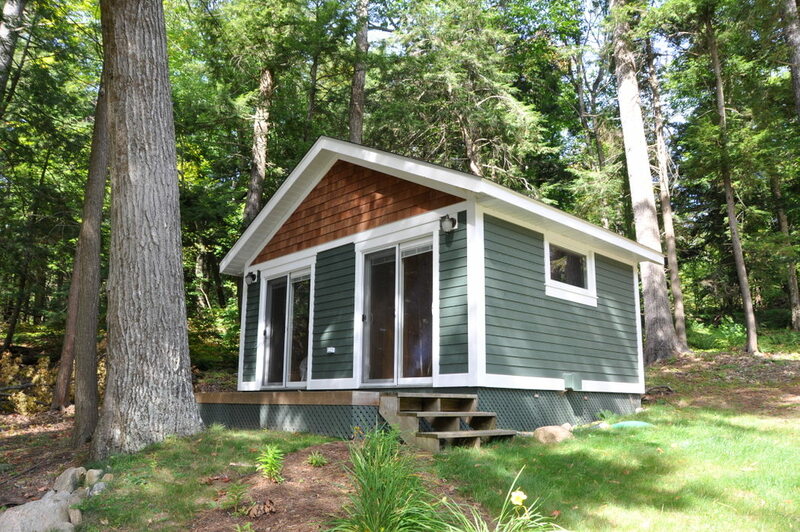 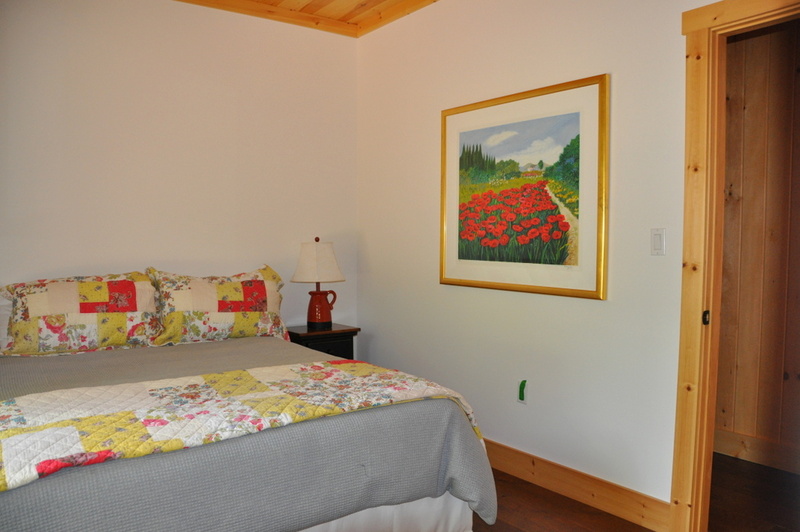 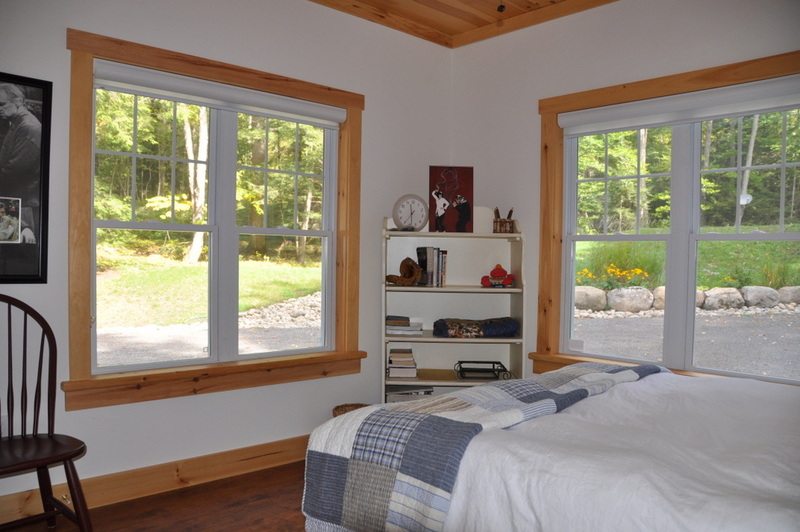 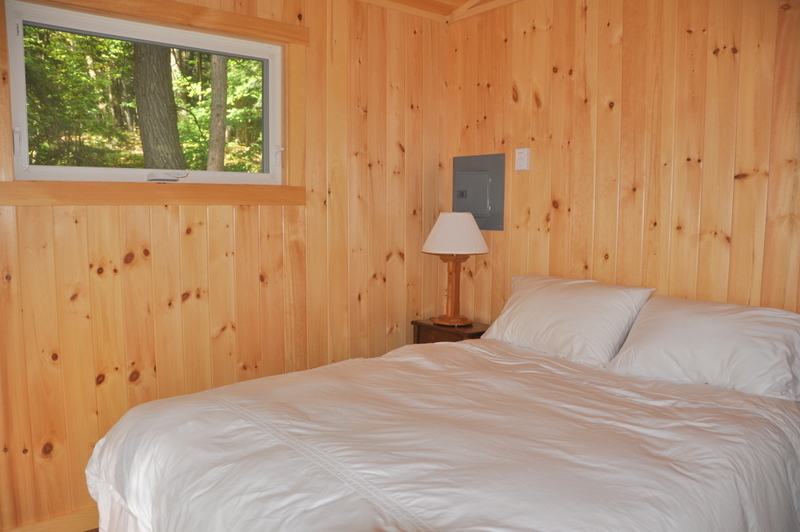 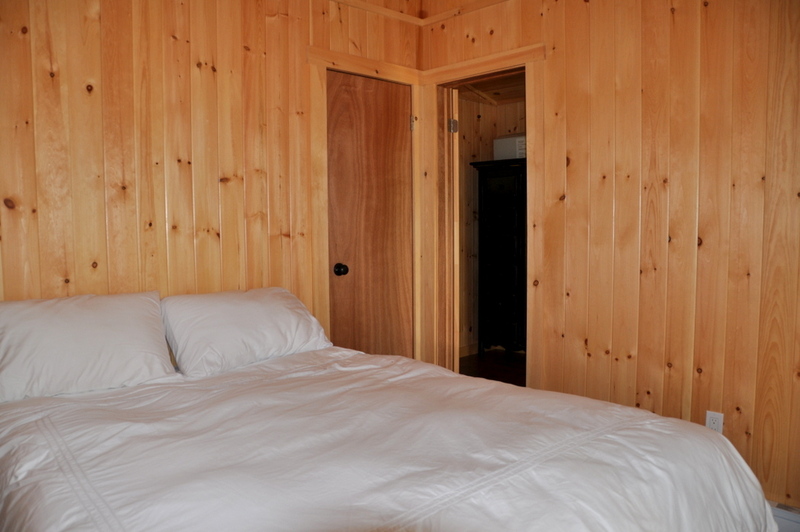 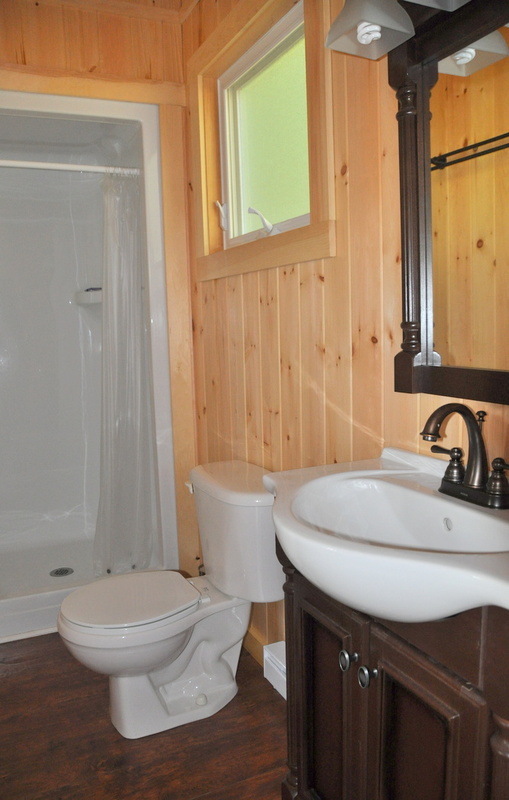 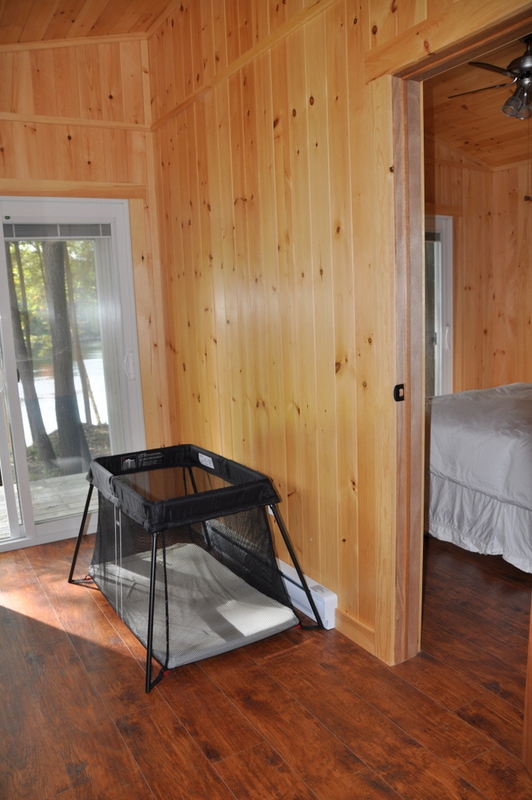 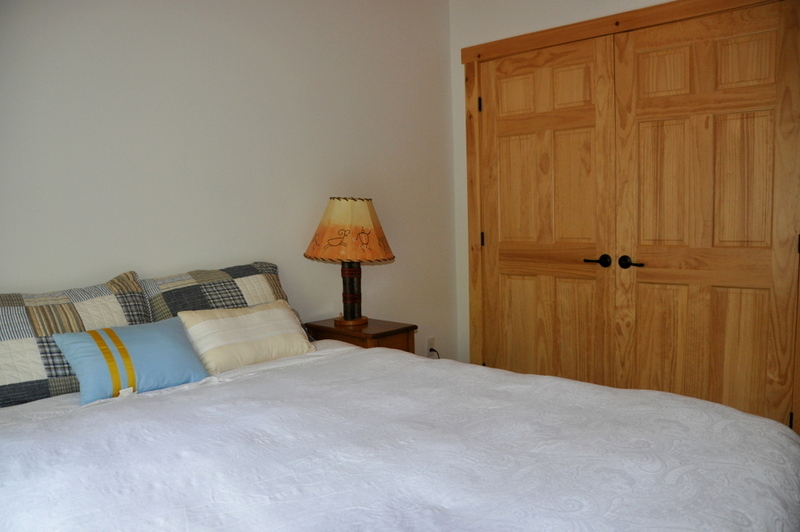 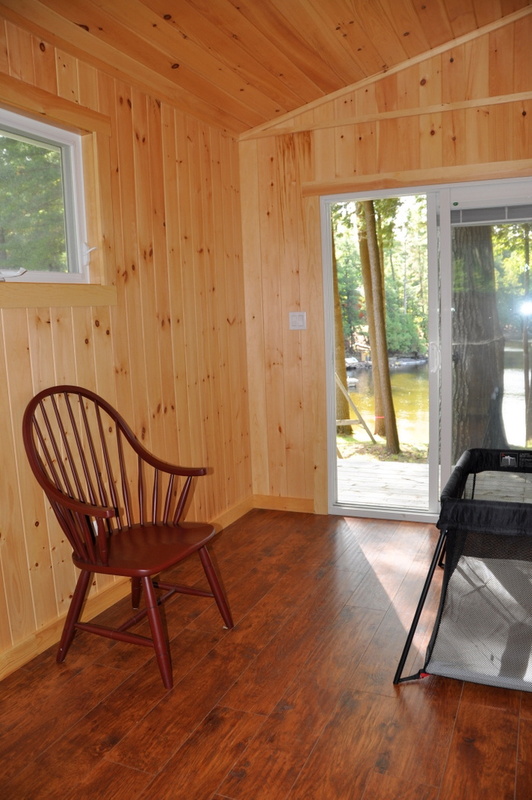 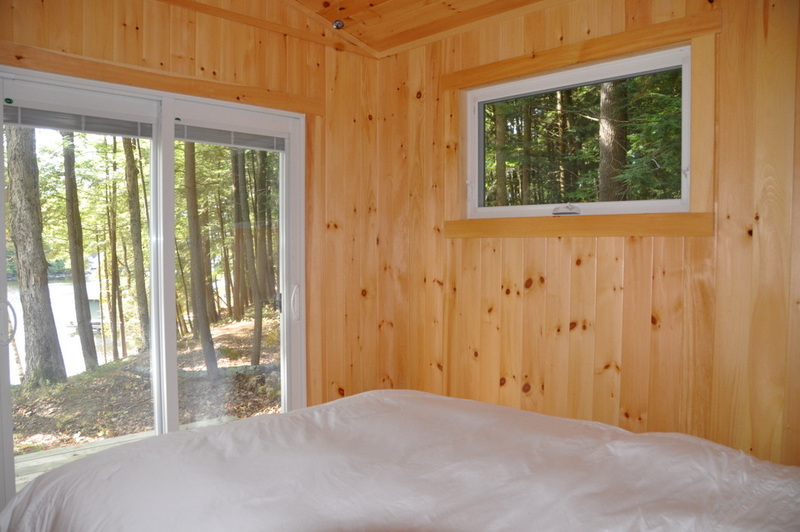 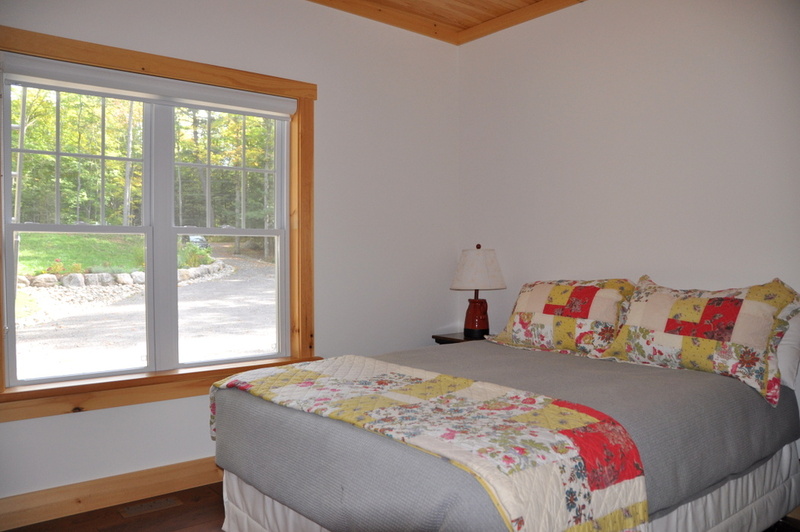 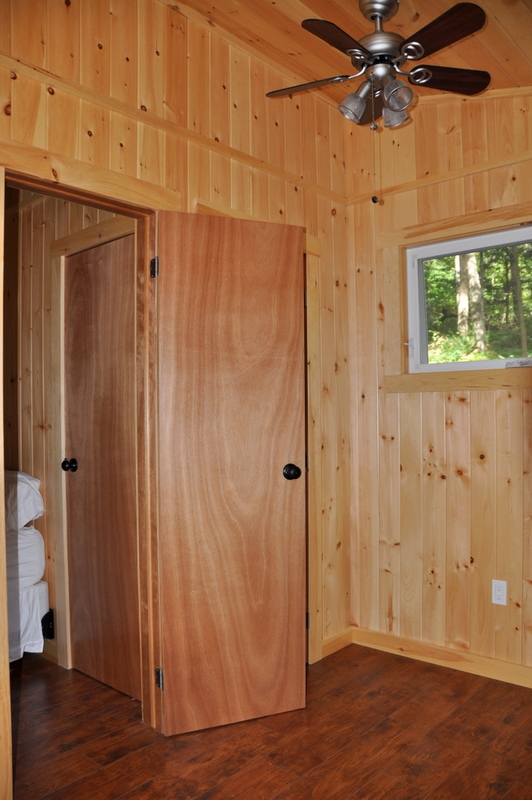 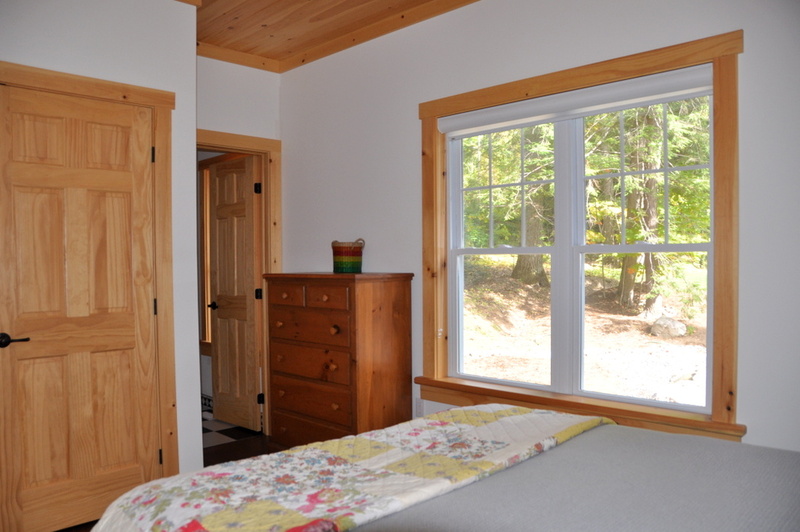 Just off to the side of the cottage is a Bunkie with a queen bed and a 3-piece bathroom, ideal for older children or a couple, offering privacy, a small walk-out deck and peaceful lake views. 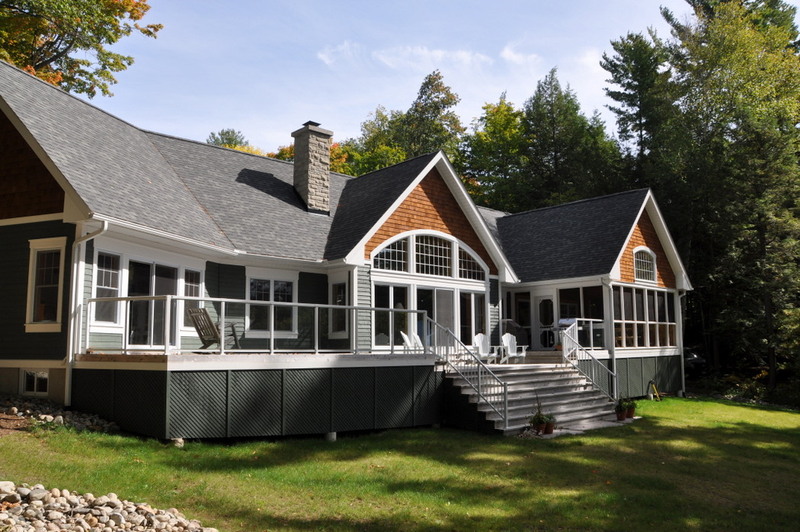 With an expansive lake-facing lawn gently sloping down to 220 feet of sandy waterfront, this magnificent property caters to both young and old alike. 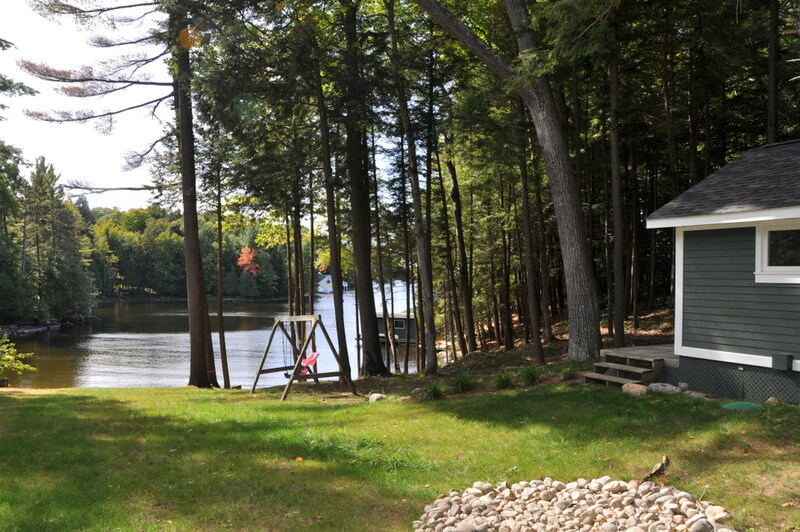 Relaxing on the lake is rejuvenating but the true big excitement comes when venturing onto the lake. 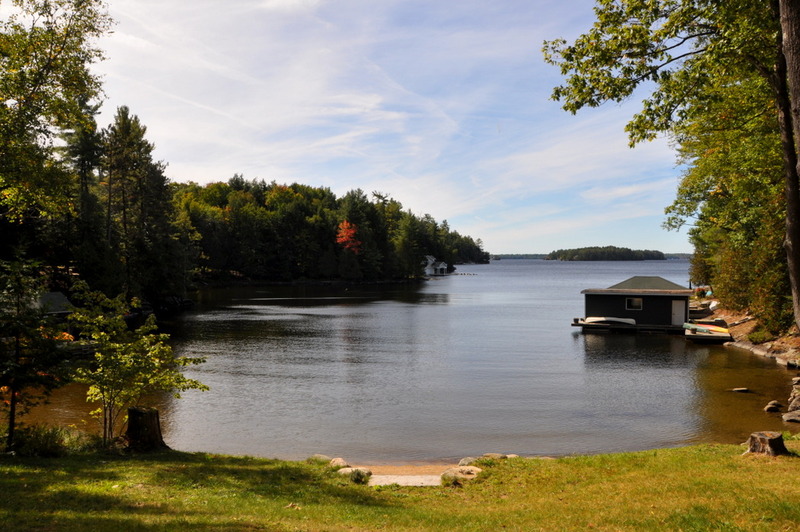 Add to your vacation adventures and bring or rent a boat and discover the extensive network (known as "The Big Three") connecting Lake Muskoka to Lake Rosseau by the Indian River, and Lake Rosseau to Lake Joseph by the St Joseph River. 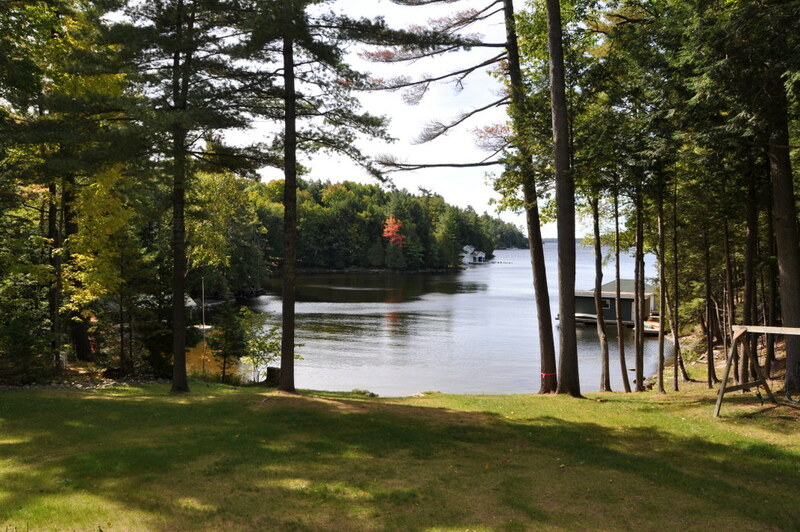 The lake also hosts frequent fishing derbies so needless to say avid fishermen won’t be disappointed. 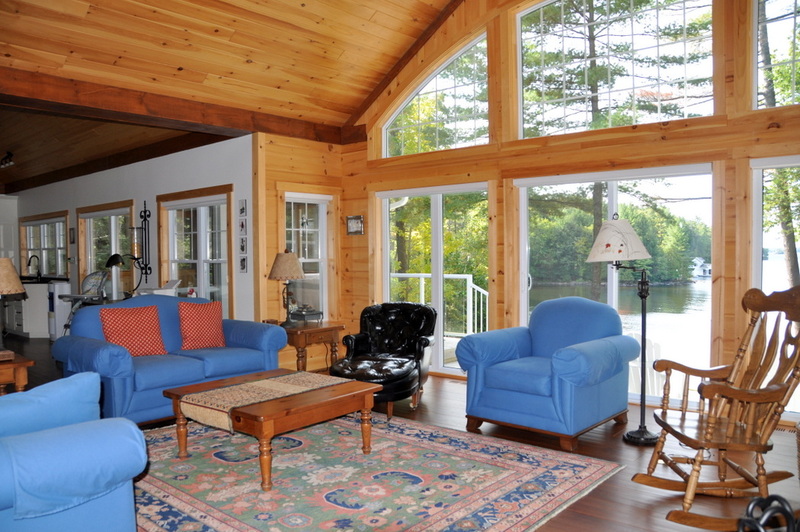 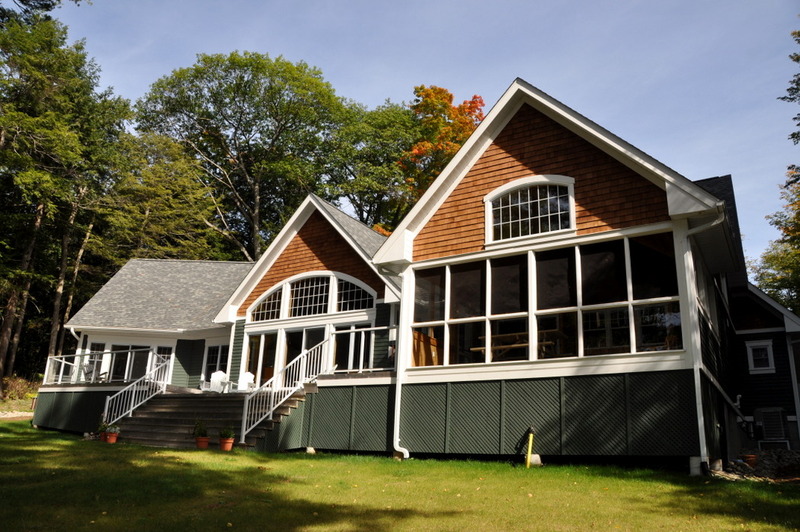 The rich cottage history of vacationing on this famous lake is one not to be missed and to be thoroughly enjoyed. 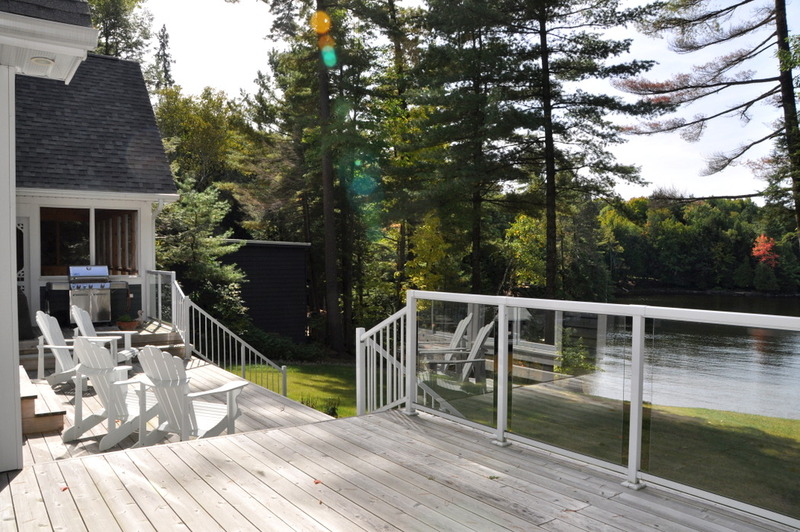 As the day starts to unwind and the summer breeze whispers through the tall towering trees enjoy a BBQ dinner out on the deck while watching fabulous sunsets as another day in cottage country paradise comes to a close! 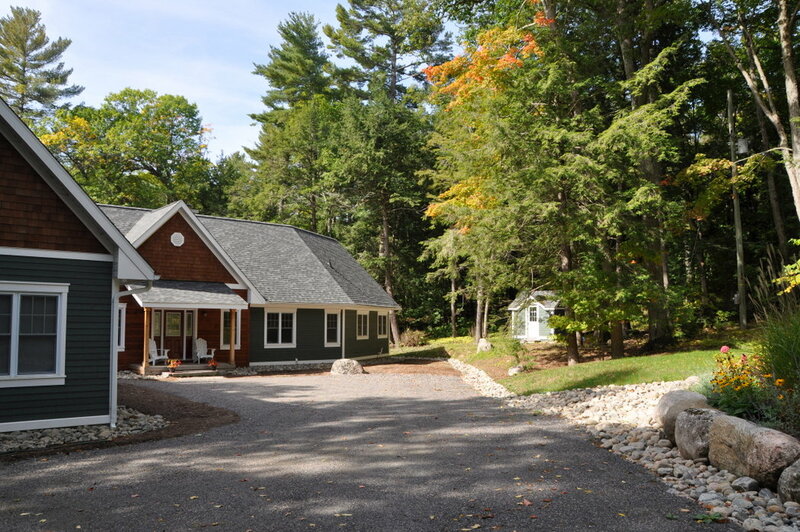 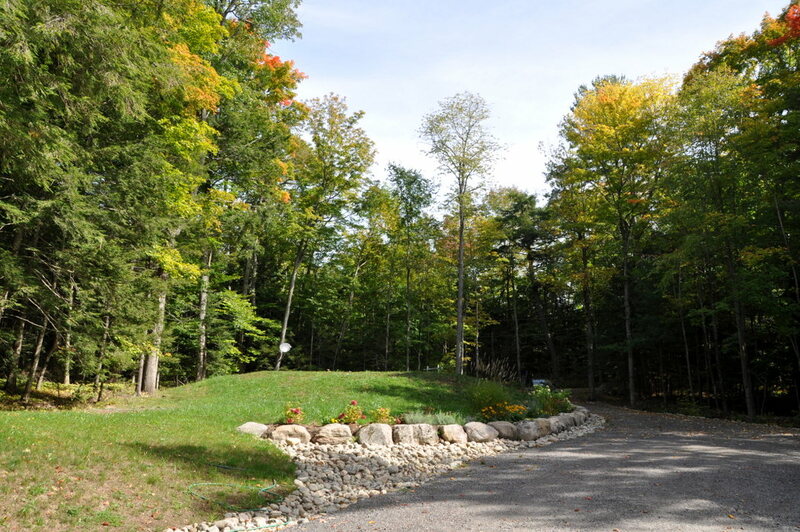 LOCATION: 1.5 hours north of Toronto, and just minutes to the town of Bracebridge for shopping, dining, groceries, LCBO, gas and most all other amenities. 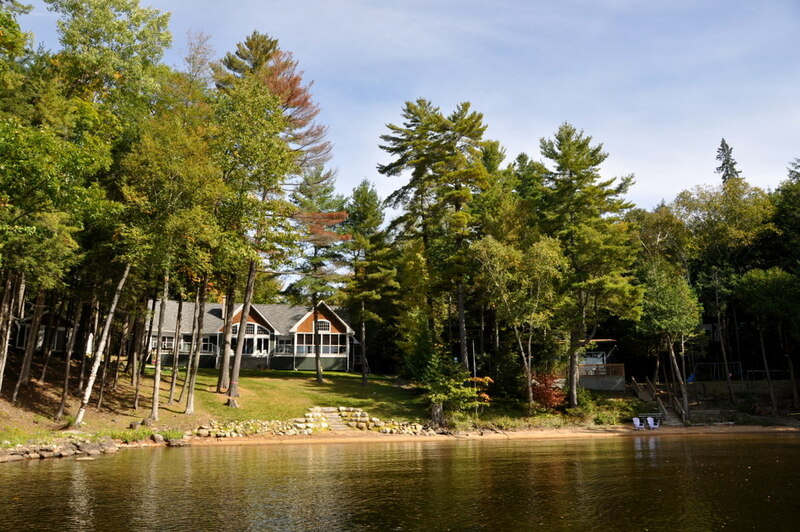 Taboo Resort is just a short drive by car or boat. 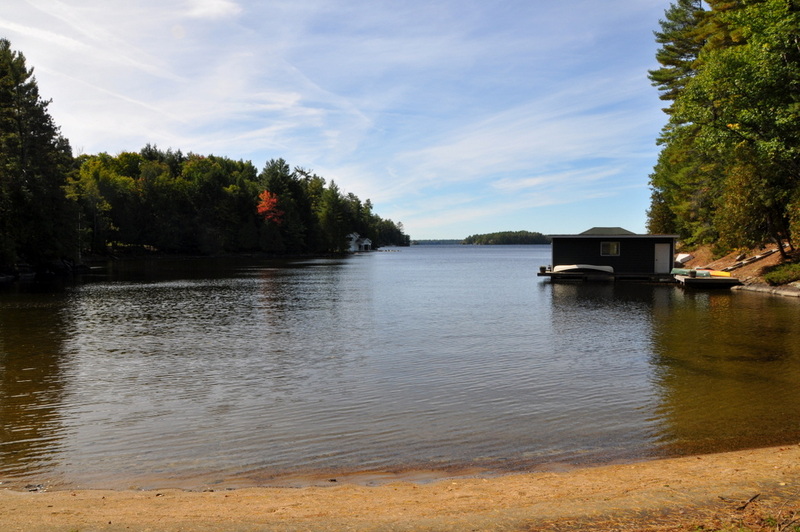 Ennis Bay is ideal for water skiing and tubing as water is much calmer than in the main body of Lake Muskoka. 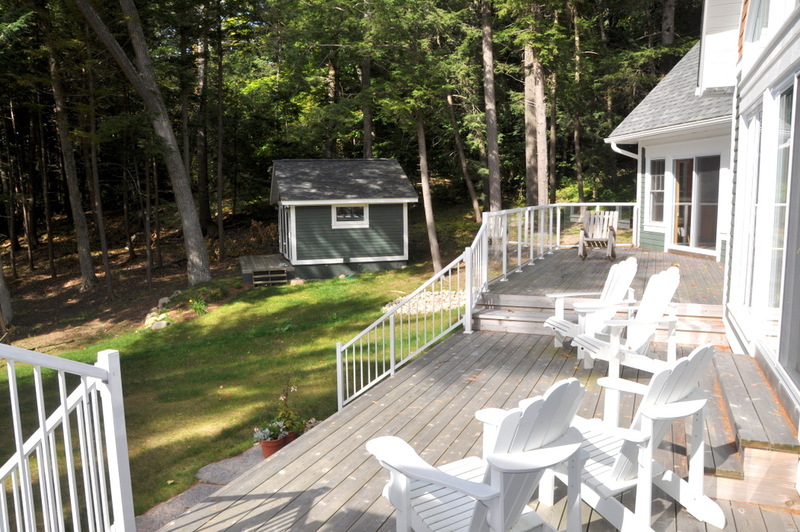 All in all, the perfect location for a holiday week at the cottage. 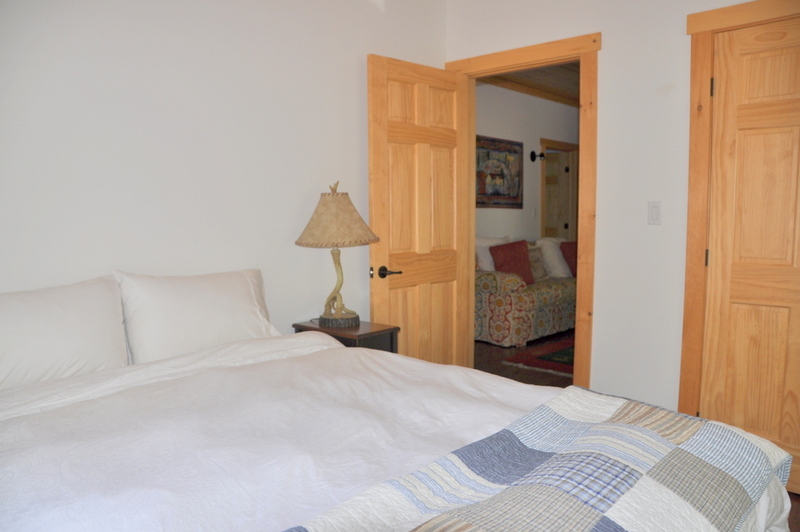 No pets, no smoking, maximum number of occupants is 10, linens supplied for all beds at no extra charge, bath towels and cloths supplied at no extra charge. 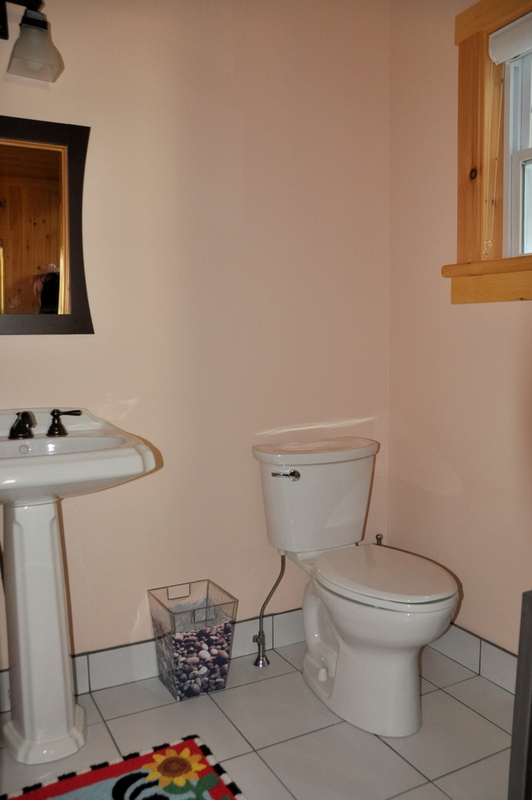 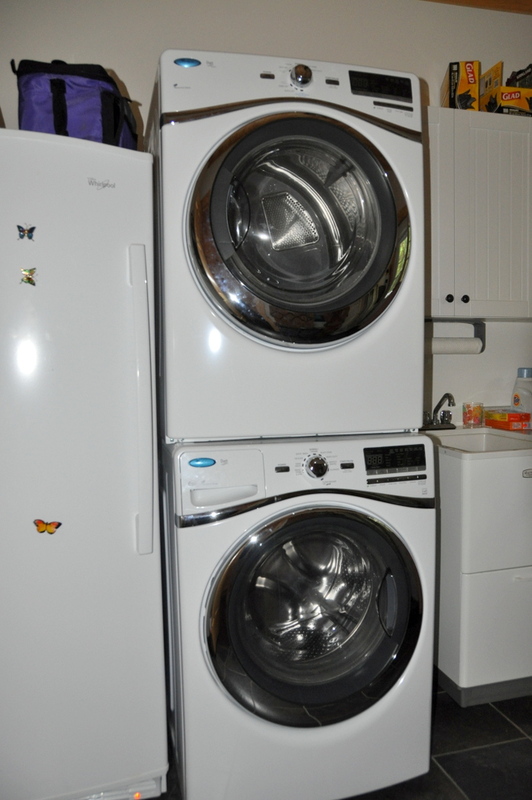 A water cooler is located in the kitchen if renters prefer bottle water. 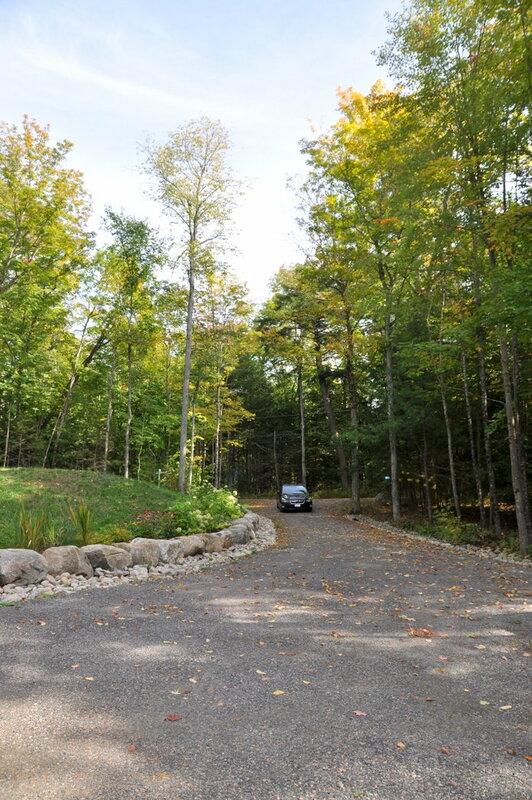 Noise restriction after 11 PM. 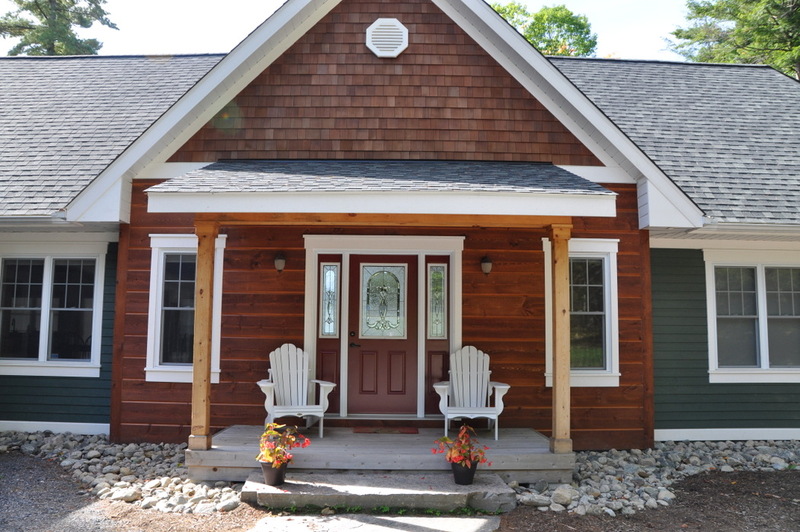 NOTE: With this cottage there is a mandatory $2,000 security deposit upon booking.